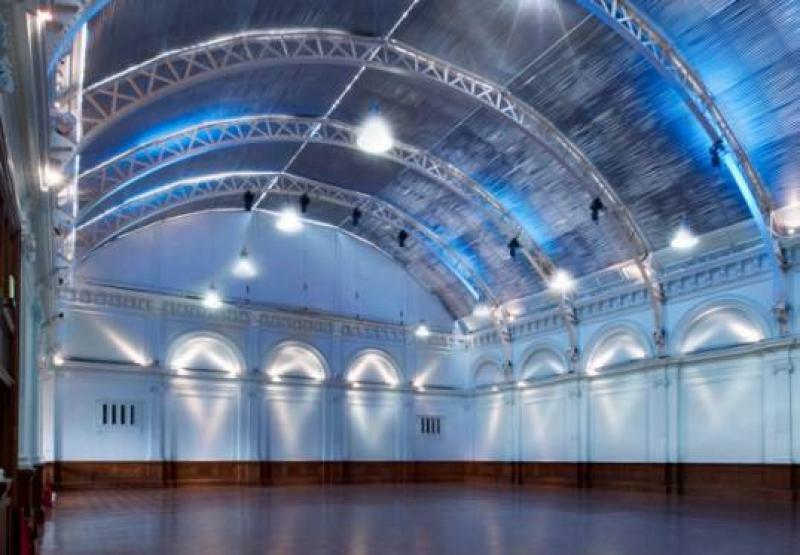 This newly restored, huge and magnificent Ballroom has one of the grandest Victorian interiors remaining in London, with its stunningly high ceilings and natural daylight. The Ballroom has not been available to use for over 70 years creating an incredible new venue that could give your event exclusivity that no other venue in London can. The Old Billiard Room and Annex - An amazing secondary space that is even larger than The Ballroom gives your event more opportunities. This versatile room offers you the chance to create a spectacular event whether it is transformed into a more contemporary style or enjoyed for its classic beauty your event will no doubt be sensational. The room benefits from an interactive LED system allowing clients to change the lighting to any colour, making the venue more adaptable. Step into a world of exclusive ambience and unrivaled beauty, set amidst 163 acres of landscaped grounds, the stunning venue is Addington Palace. A place of historic romance, where King Henry VIII courted Anne Boleyn, the Palace boast two exquisite entertainment areas that are truly one of a kind, and offers the ultimate, unique occasion. This breathtaking location is the perfect setting for weddings, anniversaries, or any other memorable celebration. Whether you choose the Palace or the Royal Marquee, or both venues, you and your guests will find enjoyment of the purest kind in the rich atmosphere and luxurious décor. The palace, at its heart is the Great Hall, an opulent space lit by a glittering French chandelier that illuminates lustrous silk wall coverings. The head of the Great Hall is crowned by a magnificent fireplace, which serves as the perfect backdrop for the bride and groom’s table. Comfortably seating 150 for dining, the floor plan is easily adjusted to accommodate 300 for dinner or up to 800 for the Royal Marquee. Altitude 360° London is truly a spectacular and unique wedding reception venue for your special day. Located on the 29th floor of the Millbank Tower in the heart of Westminster, Altitude 360° offers views that will simply take your breath away. By day, sunlight pours in through wrap-around windows and glitters across the gleaming white marble floors. 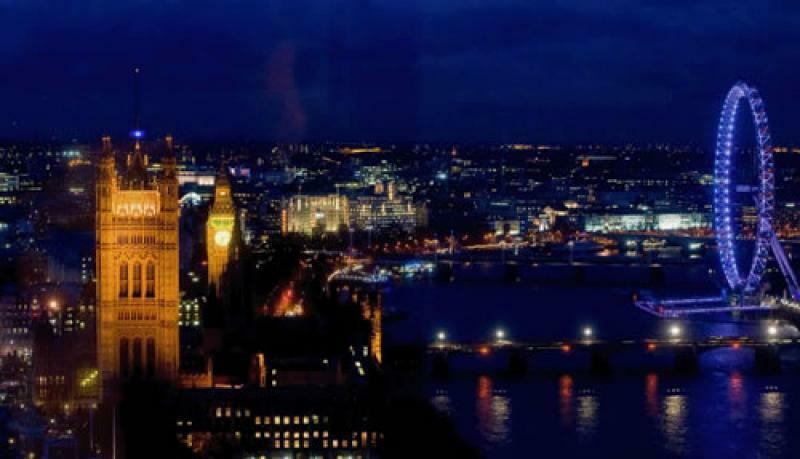 By night, the shimmering lights of busy London create a spectacular backdrop for your wedding reception. Imagine sipping champagne with your closest friends and family as the sun sets over the city of London, and then celebrating your wedding day into the early hours in ultimate style with your nearest and dearest. Altitude 360° London is unquestionably the ultimate in wedding reception venues. Ascot Racecourse is one of the largest and most prestigious racecourses in the world. Ascot Racecourse. Evoking history, defining style, your wedding day will undoubtedly be one of the happiest, most exciting days of your life. In choosing Ascot Racecourse for your wedding, the scene is set for a very special occasion. For over 300 years, Ascot has been famous for hosting the world’s finest racing events including Royal Ascot. However, Ascot also has the expertise and flexibility to cater the Asian Wedding market as well as a wide range of other events. The Pavilion Suite is a standalone building which, as a whole, has beautiful views over the Plaza Lawns and Grandstand with natural daylight and blackout blinds if required. The Pavilion Suite is made up of three sections, Pavilion 1, 2 & 3, all of which can be used individually or together. This suite alone can hold up to 1,000 guests for a dinner dance. The Furlong Club is a fully functional semi-permanent (July – October) structured marquee next to the grandstand and is perfect to host a summer wedding or a dinner. Opening up onto a balcony which overlooks our famous race track. North London’s newest state of the art Conference & Events centre in association with the newly opened Express by Holiday Inn London-Golders Green. Avenue is the ideal place for your celebration, from weddings, birthday and Christmas parties. Avenue has the perfect package to suit your needs. 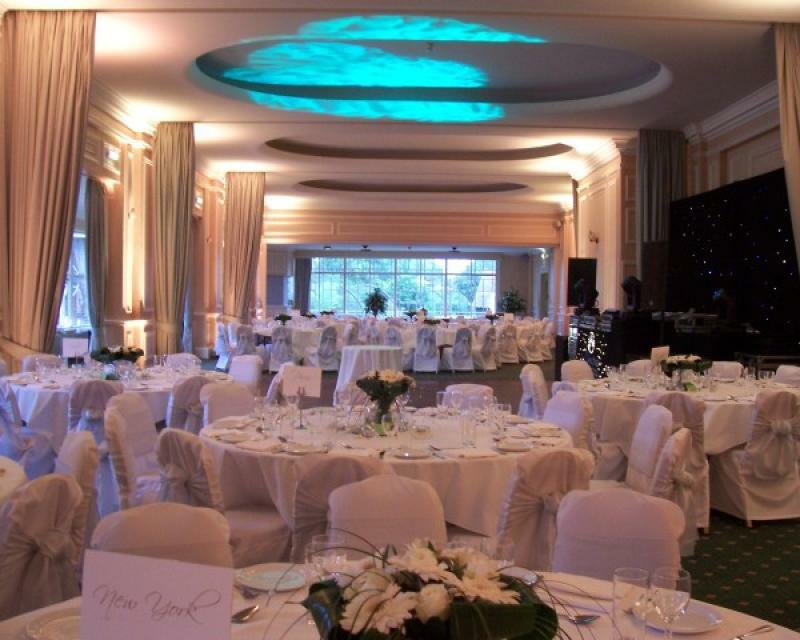 Using the Avenue’s contemporary blank canvas as the backdrop, create your own ideal and unique celebration, from weddings, Christmas parties, occasion & themed parties, Avenue offers you the world of choice. Best Western Palm Hotel is privileged to offer two suites able to comfortably host gatherings of anything from ten to 300 people. The hotel runs over 400 events a year and has built a strong local reputation for catering for functions of all kinds and all nationalities. Boreham House lends itself to exquisite Asian weddings allowing for the Mandap to stand out in our large Banqueting suite. We can seat upto 400 people for a wedding breakfast. Our stunning grounds allow for your guests to explore whilst waiting to be seated. 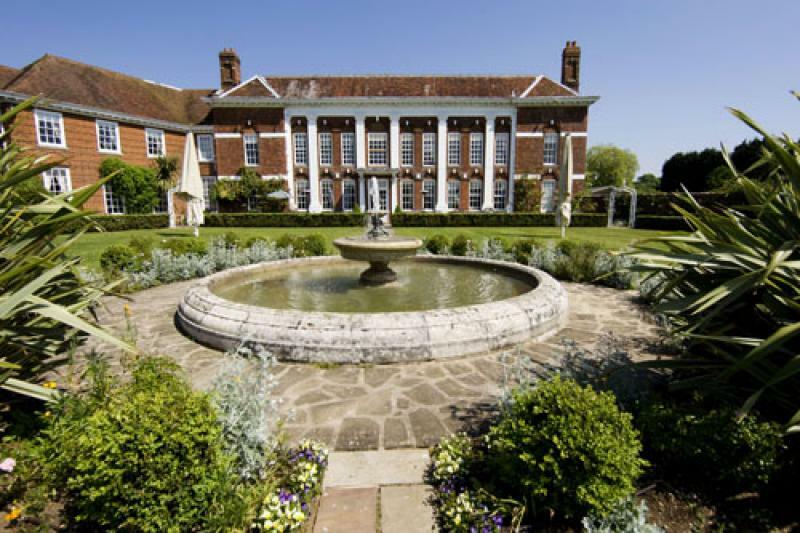 Boreham House is a luxury wedding venue perfectly set for different Asian ceremonies. 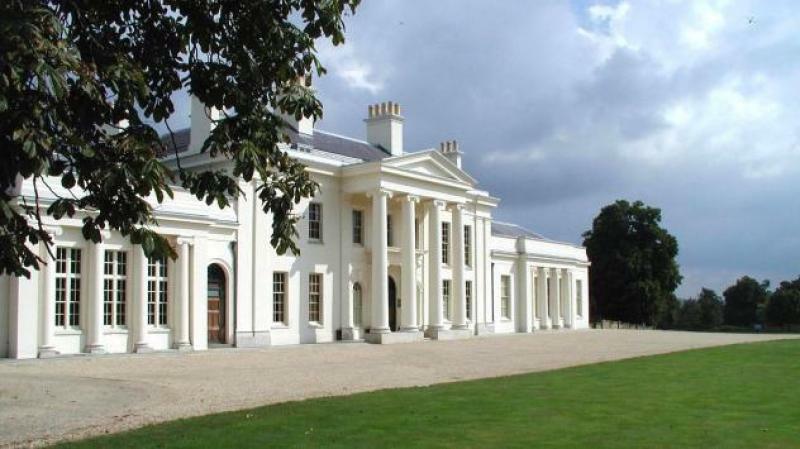 Located on the A12 in Essex, Boreham house is only 45 minutes from London. 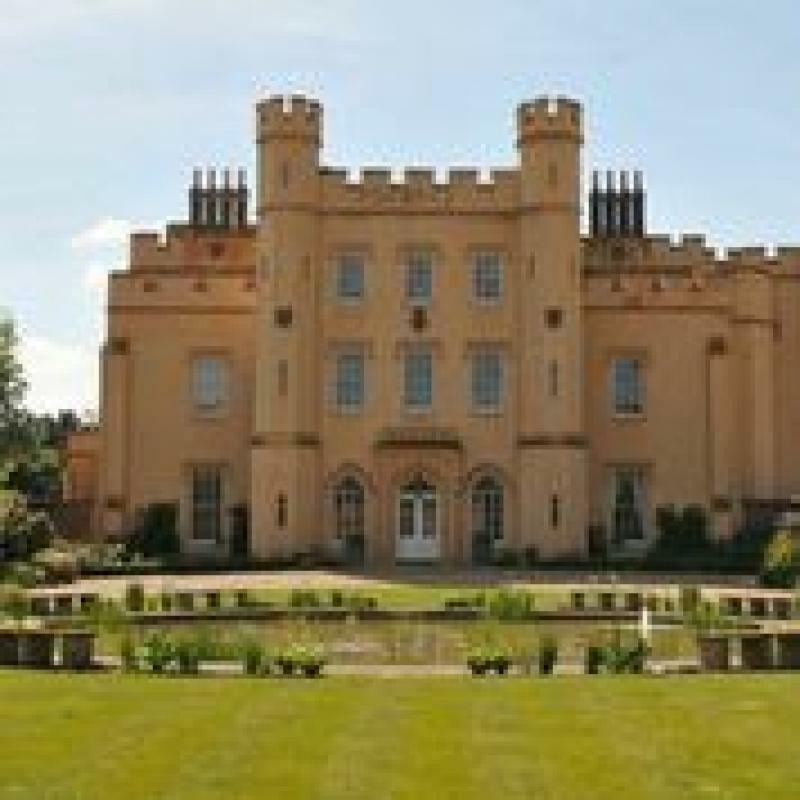 Our Stately Home (Manor House) is an exclusive use wedding venue. We can accommodate large numbers: up to 500 people for a religious ceremony in our Coach House and up to 400 people for a sit down meal in our beautiful Pavilion. 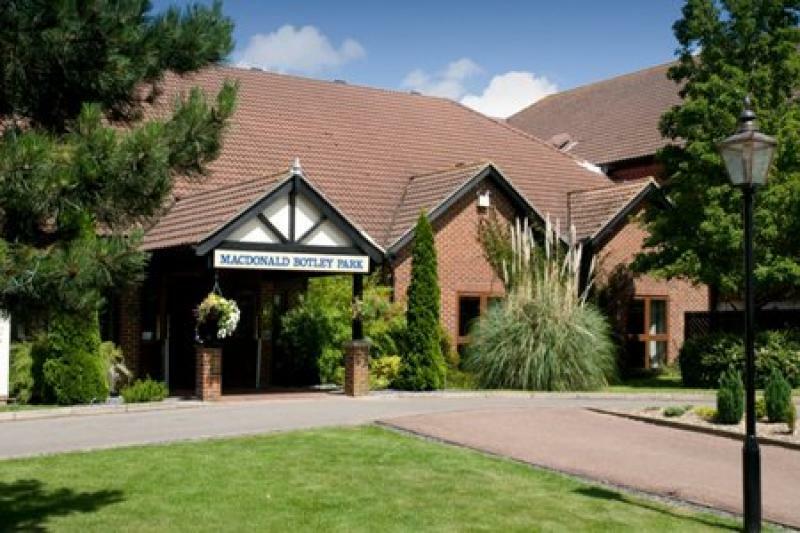 Macdonald Botley Park Hotel, Golf & Spa is set amongst 176 acres of private grounds, featuring magnificent views of the surrounding Hampshire countryside- a magical setting for your wedding celebrations. Looking for the perfect country house wedding venue to host your reception? Then look no further. Whether you wish for a summer or winter wedding, a church or civil ceremony, imagine it taking place at beautiful Braxted Park in Essex. You and your guests will be able to enjoy the exclusive use of our beautiful Estate. Braxted Park is a licensed venue able to offer a variety of different sized rooms within the main house and renovated walled garden, with capacity ranging from 50 to 300 guests. Situated within the Estate itself is the local parish church of All Saints, which offers the opportunity of holding your entire wedding in one location. Braxted Park benefits from an idyllic location in the heart of the Essex countryside, yet thanks to excellent transport links we are within easy reach of London, Hertfordshire, Suffolk and Kent. Set in 36 acres of Hertfordshire countryside in the North West outskirts of London, is Bushey Sports Club. Boasting three individually unique function rooms each with spectacular views over lush green sports fields and well-manicured gardens. Each function room has use of its own in-room bar if required. 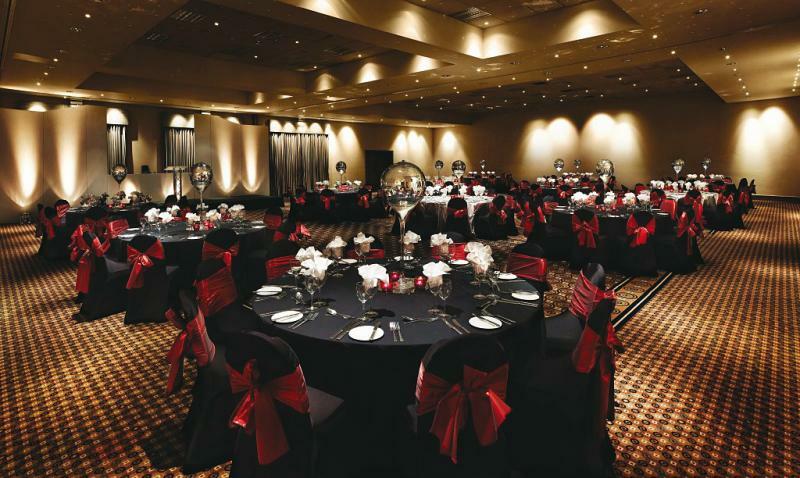 Our largest room The Ballroom can accommodate up to 300 guests for your sit down mean. The open nature of the room and addition of the raised dining area, aid the perfect decoration. 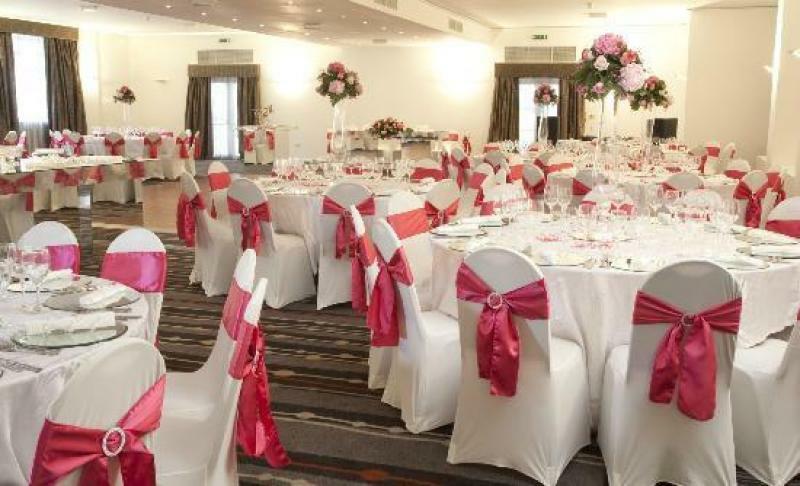 Bushey Sports Club is licensed to hold civil ceremonies ranging from 50 to 300 guests. 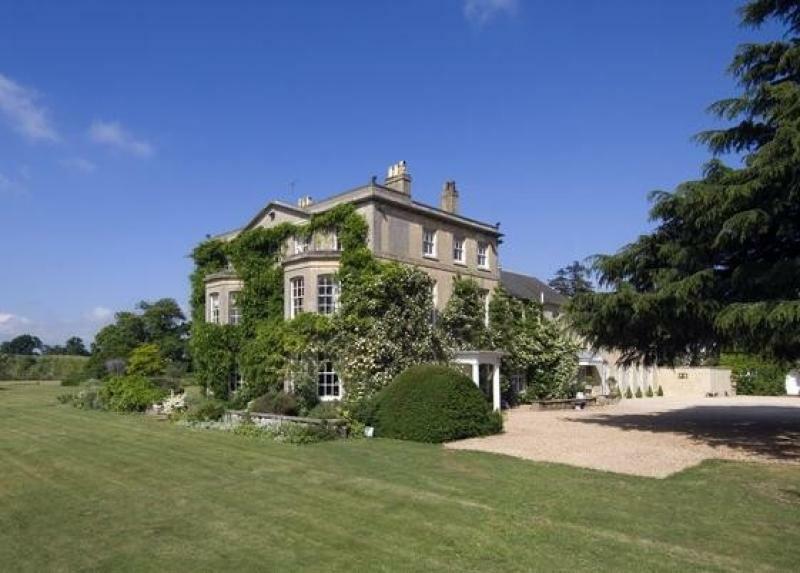 Chartridge Lodge is a country house dating back to the early 1900s, and still maintains period features. Set in 25 acres of landscaped grounds, the delightful garden features immediately outside the reception rooms offer you and your guests the ideal location to enjoy drinks, and give the perfect setting for beautiful photographs. With the tranquility that comes from being at the heart of the Chilterns Area of Outstanding Natural Beauty, the large banqueting rooms give the air of elegance and an environment fitting for your special day. Chartridge Lodge can offer a choice of three beautiful rooms which are licensed for Civil Ceremonies and can seat up to 90 guests. If you choose to have your wedding breakfast in the elegantly decorated Main House, we can cater for up to 100 guests; however, if you choose to have your wedding breakfast in our large wedding marquee, we are able to cater for up to 300 guests. 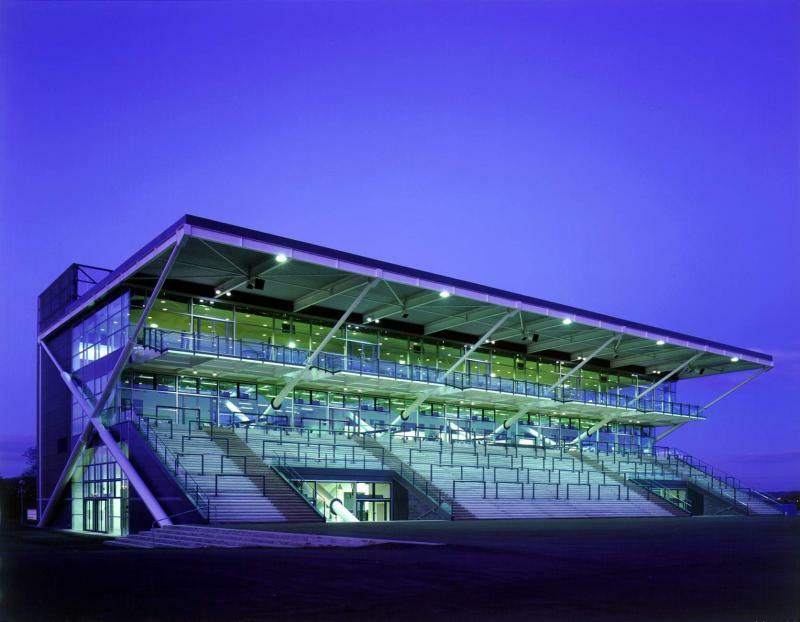 Cheltenham Racecourse is the perfect wedding venue located in Cheltenham, Gloucestershire. As one of the premier asian wedding venues, and unique western wedding reception venues, we host wedding parties for different cultures and religions with space to hold a wedding breakfast for just 50 to a venue with the capacity to welcome over 700 well wishers. One thing that remains constant is our commitment to making your day special for you. With the spectacular backdrop of Cleeve Hill and glorious views accross the racecourse, rooms which offer a true sense of occasion and mouth-watering dishes to tempt, there is no doubt your guests will be impressed by your chosen venue. Add in the atmosphere and magic of being at a world famous racecourse and your wedding reception at Cheltenham will long live in the memory of your family and friends. 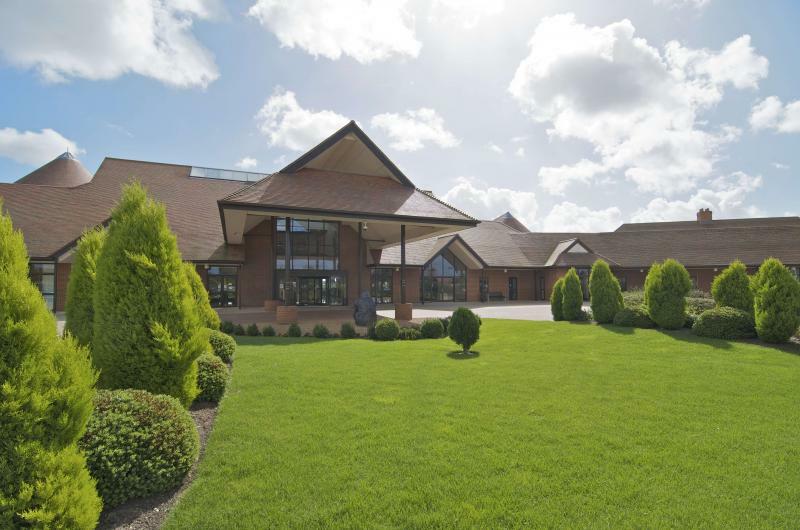 Whether you're planning a small get-together with friends, or a large celebration for family, you'll find the perfect venue at the Copthorne Hotel Effingham Gatwick. 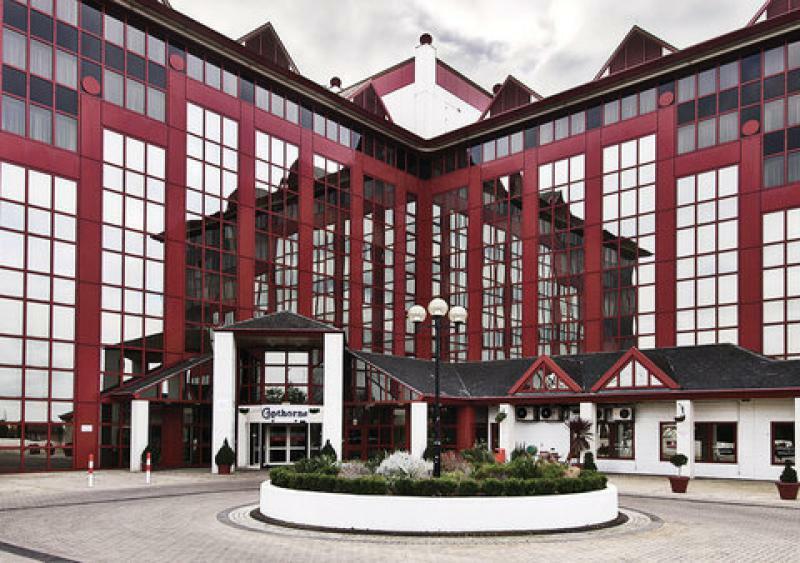 The Copthorne Hotel Effingham Gatwick offers the comprehensive choice of 15 suites, and can accommodate social events of all sizes. Simply get in touch with our dedicated events team to discuss your requirements. Located in beautiful parkland, the Copthorne Hotel Effingham Gatwick provides the perfect venue for your wedding celebrations. Planning ahead is key to a successful wedding. Therefore you will be provided with your own dedicated wedding planner, who will work with you throughout the planning process. 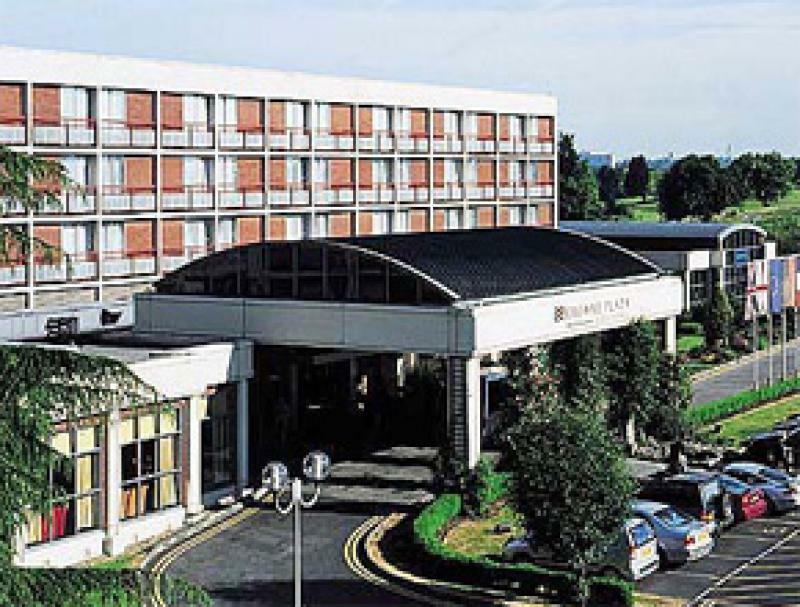 Situated in historic Windsor, the Copthorne Hotel Slough-Windsor provides the perfect venue for your wedding celebrations and is a popular destination for Asian weddings. Planning ahead is key to a successful wedding. Therefore you will be provided with your own dedicated wedding planner, who will work with you throughout the planning process, and then hand over to the event management team who have experience in delivering the perfect wedding day. Whether intimate, spectacular, quiet, loud, low-key, themed or fantastical - we can cater to any volume from just 2 guests to up to 2,000. We are one of the only resorts in the South of England that can host large weddings and without compromising a beautiful backdrop for your special day. 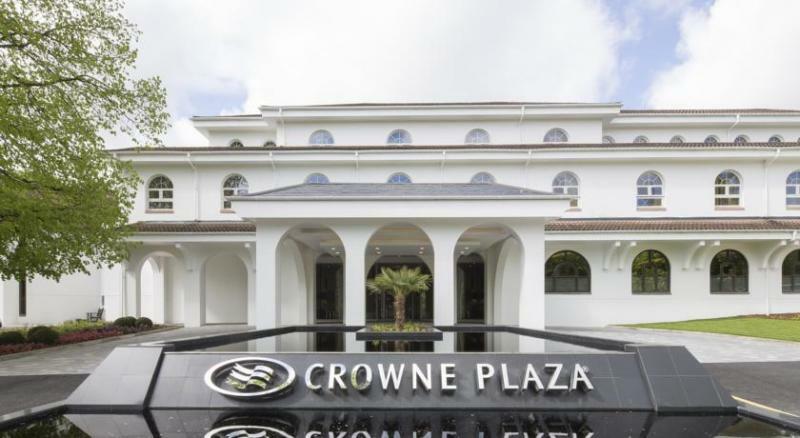 The Crowne Plaza Resort is fast becoming a desired wedding destination – while sitting hidden deep in the English countryside - yet its close proximity to London Stansted International Airport and Central London means that it’s easily accessible from all parts of the world – and indeed from all corners of the UK. Situated in the heart of leafy Buckinghamshire but close to the M40 and M25, the Bellhouse Hotel offers you a warm, friendly welcome complemented by professional service and attention to detail. We are able to offer the Gerrards and Beaconsfield Suites with their private foyer and dedicated kitchen for outside catering. Whether you are looking to arrange an intimate wedding reception, that gives you the privacy you need to celebrate your special day with your nearest and dearest, or a large celebration where all your family and friends can celebrate your big day with you, Crowne Plaza London Heathrow offers various sized suites to suit your wedding party perfectly. You have the choice of boutique, chic style 1st floor function rooms such as the Kennedy and the Madison Suites, providing luxurious intimate settings for a wedding breakfast meal, or the Guggenheim Suite which is the largest suite found on the ground floor, able to accommodate up to 160 guests for a wedding breakfast meal. 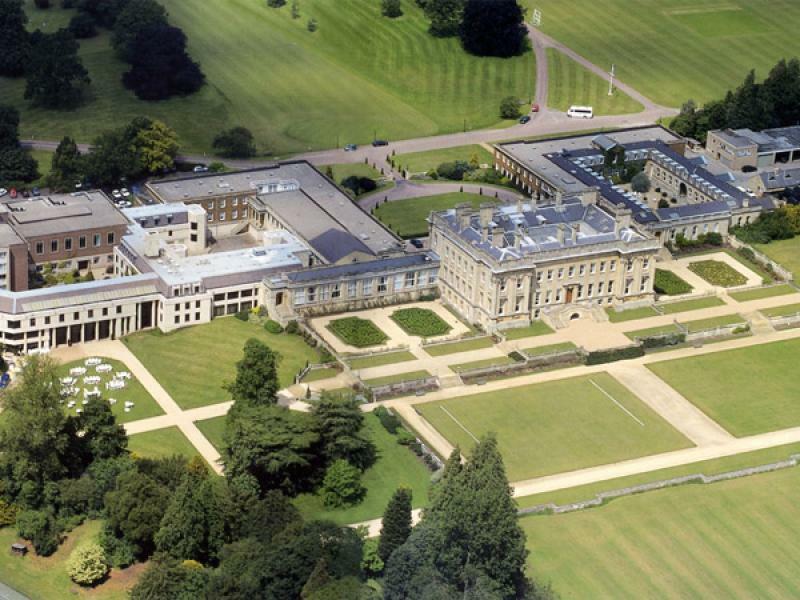 Crowne Plaza Heythrop Park – Oxford, is a contemporary wedding venue set in 440 acres of stunning Oxfordshire countryside. 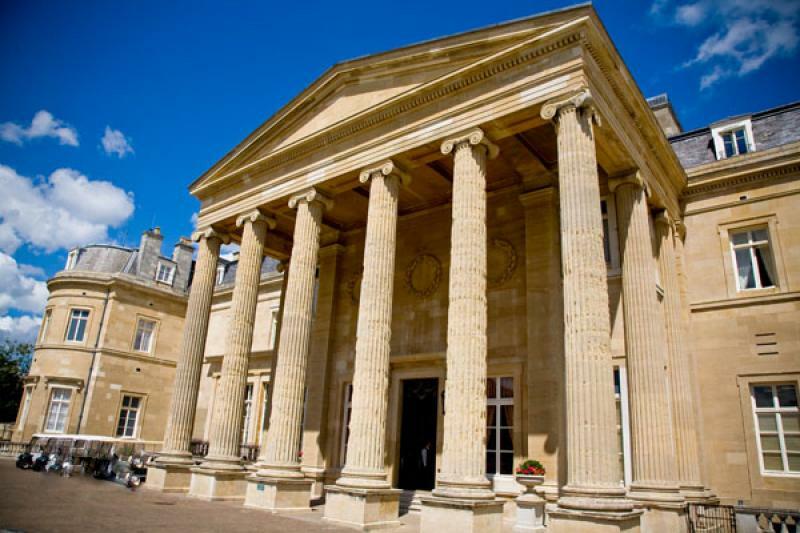 The hotel is part of Heythrop Park Resort and benefits from its beautiful location and extensive leisure facilities. 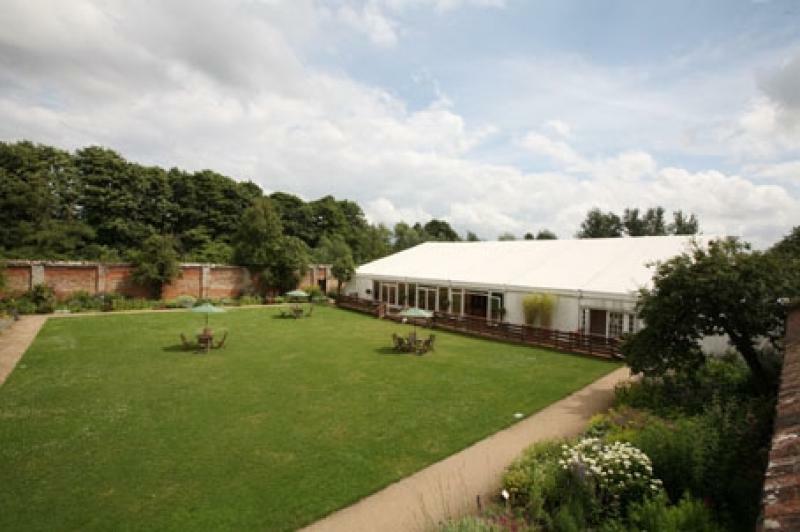 The hotel can cater for large celebrations for up to 800 guests in the brand new permanent fixed marquee, the ‘Archery Suite on the Lawns’ or more intimate ceremonies in one of our smaller rooms. The event rooms all have private access to outside areas and masses of natural daylight from the floor to ceiling windows. The Ballroom at the Crowne Plaza Heythrop Park offers a stunning space in which to hold self-catering weddings. The room has been designed with Asian weddings in mind. The Ballroom can be divided into two or three smaller rooms, meaning smaller ceremonies and lunches can take place side by side. The private Moroccan courtyard is designed perfectly for casual lunches. Opened out, the room can accommodate up to 400 guests for a seated dinner. The Ballroom is licensed for civil ceremonies, and we can also accommodate religious ceremonies including ceremonial fires. The most important day of your life deserves the perfect venue. De Vere Beaumont Estate offers this, set in 40 acres of beautifully landscaped grounds which offer the perfect backdrop for your day. 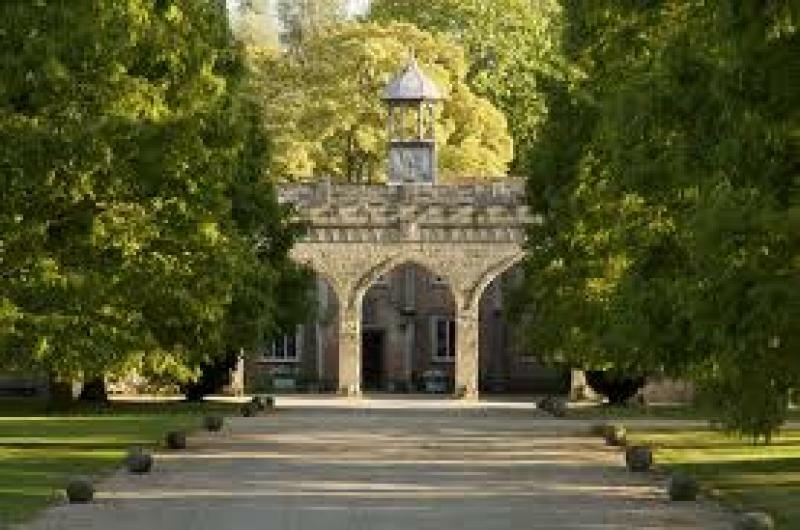 The estate was originally a private residence dating back to the 14th Century until 1854 when it became a training college and later a boarding school. 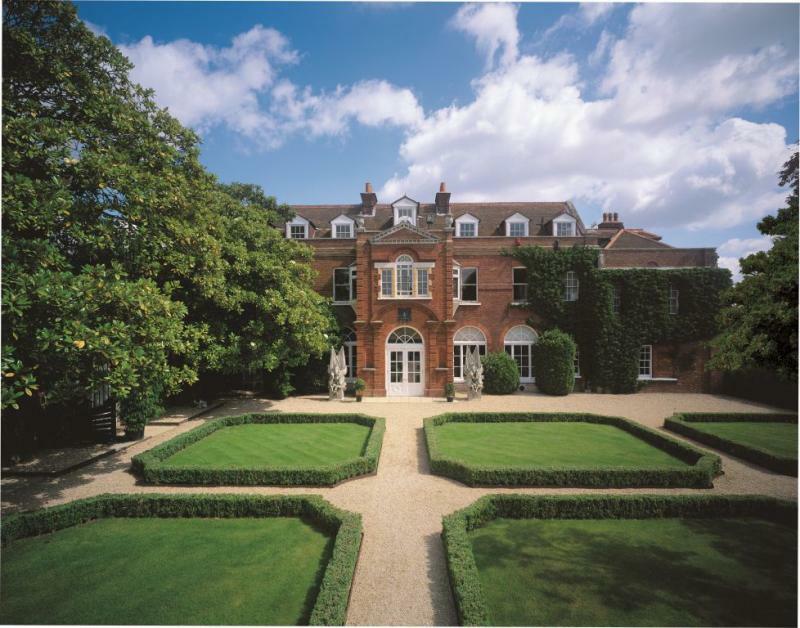 De Vere Latimer Estate is located within 30 private acres in the heart of an Area of Outstanding Natural Beauty in Buckinghamshire. The very secret, 18th century mansion house has one of the most attractive views over a chalk stream in the Chess valley, rich in wildlife and with a long and fascinating history dating back to Roman times. Built to impress, in the 19th century it became the property of Charles Compton Cavendish who, in 1858 became Lord Chesham of Chesham, and following a £7m refurbishment, your wedding day will be an experience that you and your guests will remember forever. Surprisingly it is only located five minutes away by car from Chalfont and Latimer station which is on the Metropolitan tube line, offering direct links to Baker Street and BR’s Chiltern line connecting into London Marylebone. All weddings are tailored to your needs thanks to our experienced team offering excellent customer care, being on hand every step of the way to help create your most perfect and memorable day. Set in 1100 acres of English countryside and boasting spectacular views over the South Downs, East Sussex National provides the perfect setting for a memorable wedding .We are able to host both your wedding ceremony and reception in a stunning setting perfect for photos. We pride ourselves on providing exceptional service, to ensure that you are truly pampered on this most special day. 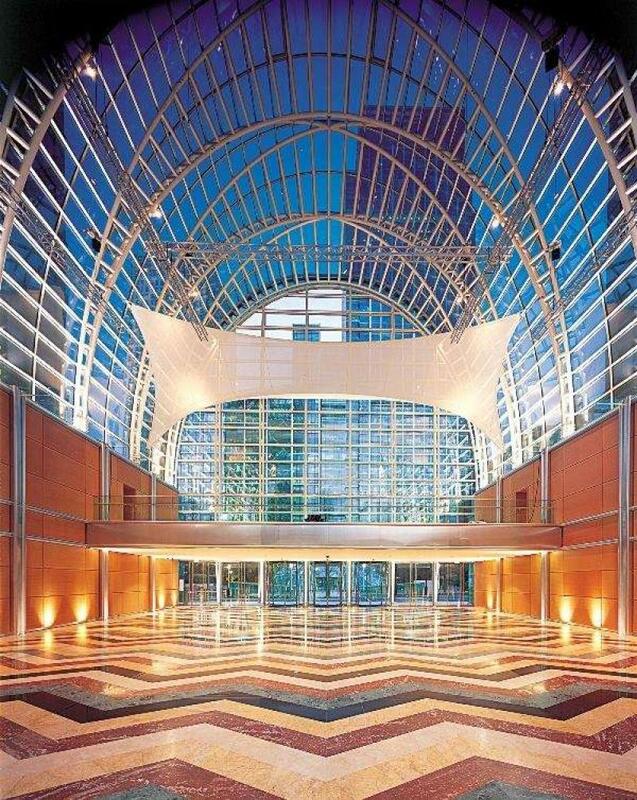 Create a spectacular impression by holding your wedding celebration at the East Wintergarden. 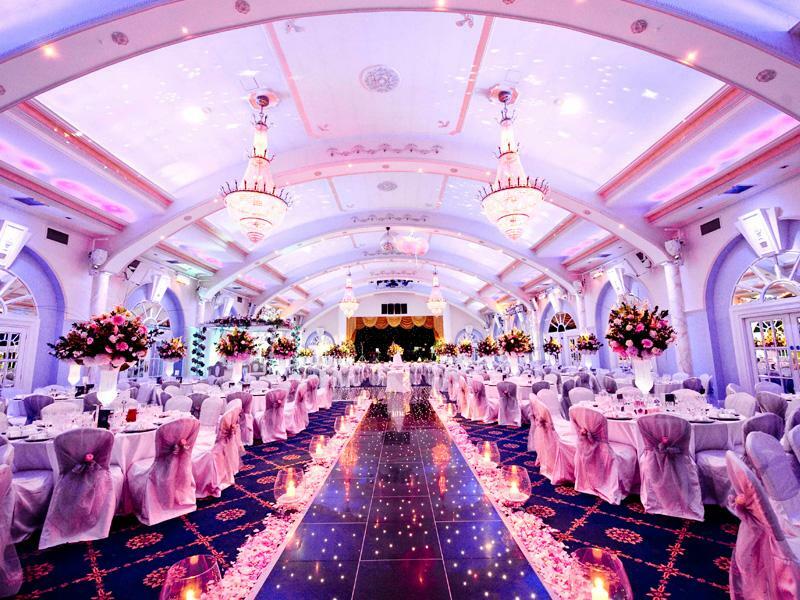 This shimmering and wholly unique venue in the heart of Canary Wharf is the perfect setting for all your guests. The East Wintergarden consists of two main function areas; the Main Hall and the Gallery, as well as a more intimate space the Promenade Room. 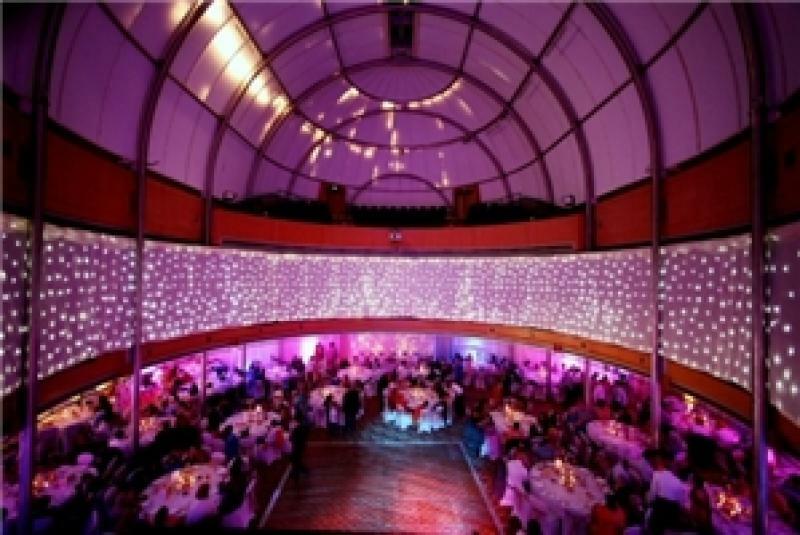 Make your entrance under the magnificent 27 metre high, glass arched ceiling into the Main Hall – the perfect location for a religious ceremony with theatre style seating accommodating up to 500 guests. 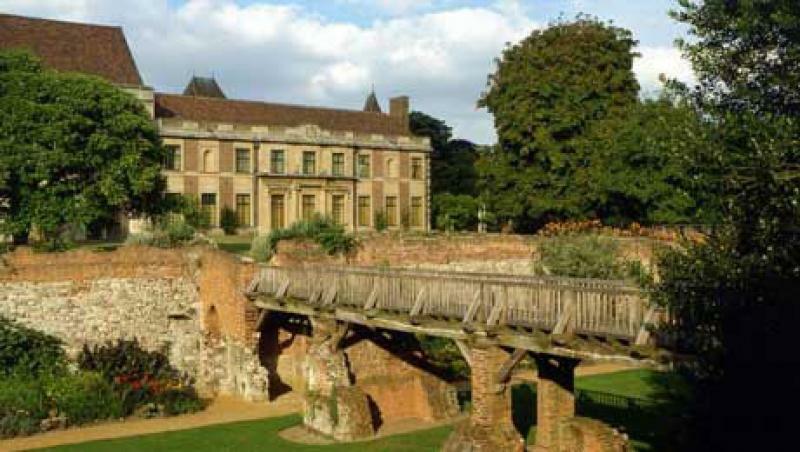 At Eltham Palace, an ancient bridge crosses the moat and leads to a turning circle in front of the double doors opening into the Art Deco mansion. Inside, this circular wood-panelled room, exquisitely picked out in shades of coffee and cream, is where many couples choose to marry. Like a Hollywood star, brides can make an entrance down one of a pair of curved staircases before the couple exchange vows beneath a glass dome. Family and friends can surround you during the ceremony and afterwards, French doors lead directly to the terrace beyond, where drinks may be served in fine weather, overlooking the flower gardens. Separated from the main house only by a sliding Chinese lacquer screen the contrast between Art Deco and medieval is stunning. The hall may be used for larger ceremonies, but more usually hosts dining and dancing – it looks wonderful with enhanced lighting. A minstrels’ gallery may be used for live music performances. The room opens directly onto lawns, which wedding parties can use in fine weather. Al fresco drinks may also be served after your ceremony on the wisteria covered terrace, just a step away from the mansion’s domed Entrance Hall. Eltham Palace also boasts a series of rooms with original features, including Virginia Courtauld’s boudoir, bedroom and gold mosaic bathroom, which may be used by couples hiring Eltham Palace for photography. Froyle Park, is situated in the quaint village of Upper Froyle in North Hampshire. Surrounded by rolling Hampshire hills , the Jacobean Manor House sits proudly overlooking the 80 acres of glorious parkland that complete this elegant country estate. Froyle Park boasts an impressive history that stretches back to 1086 when the Manor was given by William the Conqueror to the Nuns of St Mary's Abbey. As you make your way through the gates and up the tree-lined path alongside the fields dotted with sheep grazing serenely, you will immediately be met by the magnificence of this luxury country estate. Following a complete renovation, Froyle Park now offers a variety of beautiful rooms in which to hold your day, including The Great Hall, The Grand Ballroom and The Drawing Room. Once you've shared your vows and enjoyed a champagne reception, guests will make their way into the reception room, which seats up to 300 people. With the same 'no corkage' policy as Northbrook Park, couples are able to bring their favourite drinks and avoid the fees many venues levy for opening the bottles. Set in cosmopolitan Covent Garden, our building is one of London’s most exclusive and enchanting settings for your wedding celebration. And with palatial surroundings including elegant arched ceilings, exquisite wood panelling and crystal chandeliers, you can rest assured that your guests will cherish your special day. 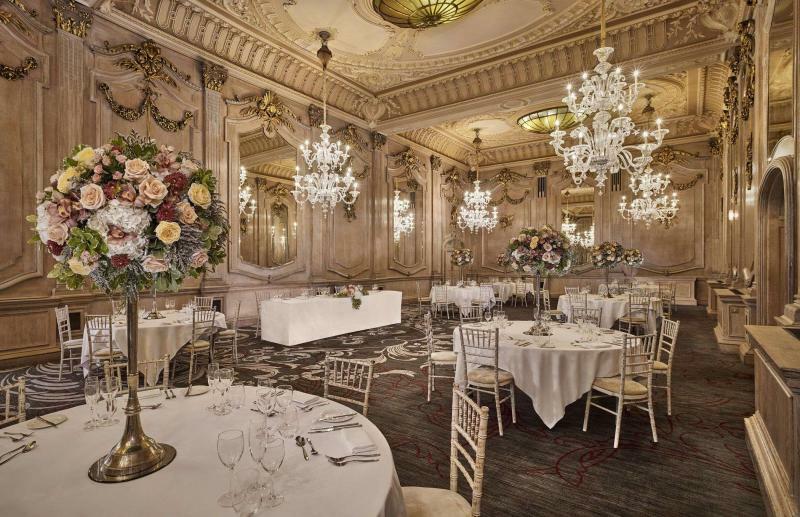 And with room for up to 550 guests in our sumptuous Grand Hall, Grand Connaught Rooms offers the perfect marriage of splendour and practicality you need whatever your wedding style. 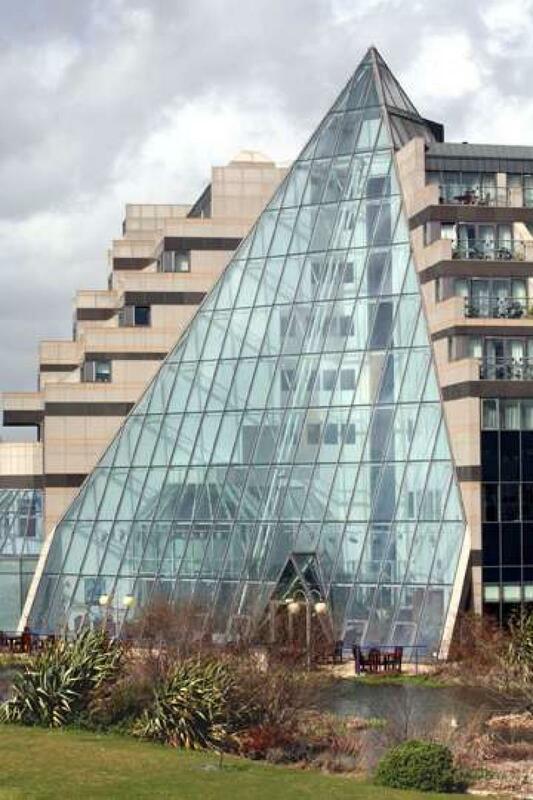 Celebrate in style in this iconic modern hotel with a spectacular glass atrium and get that perfect photo right on the Southampton waterfront. This is your moment. This is The Grand Harbour. With its own private entrance and foyer at the front of the hotel and your own bar, the Mayflower Suite is the perfect venue for all manner of celebrations. Add a dance floor, play around with the seating plan, decorate to your heart’s content; with this much space to play with, the choice is yours. Nestled in the heart of West London with easy access by both road and rail, Gunnersbury Park is set in 72 hectares of public parkland. 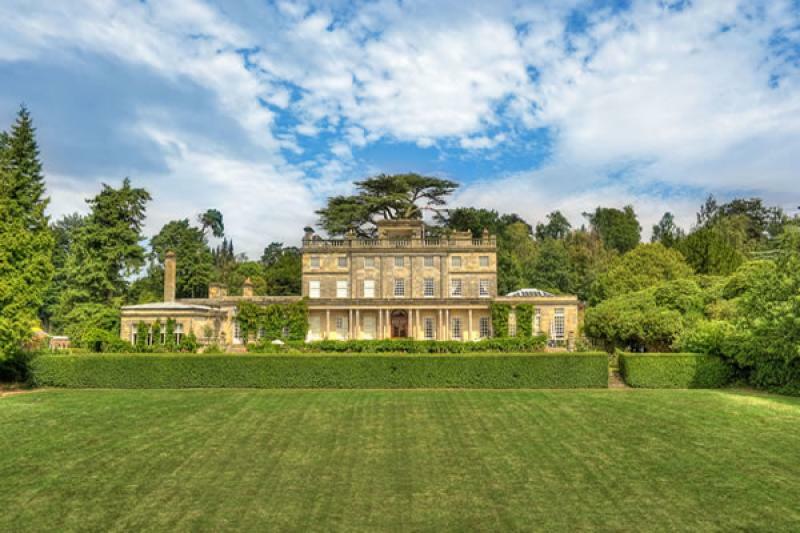 A grade II* listed historic site, the estate has notable significance having been owned by both Princess Amelia, the daughter of King George II, in the eighteenth century and Baron Lionel de Rothschild and his family in the nineteenth century. Following a recent £21m restoration, the Park has been restored to its’ former glory and now provides a magnificent backdrop for any celebration or business event. 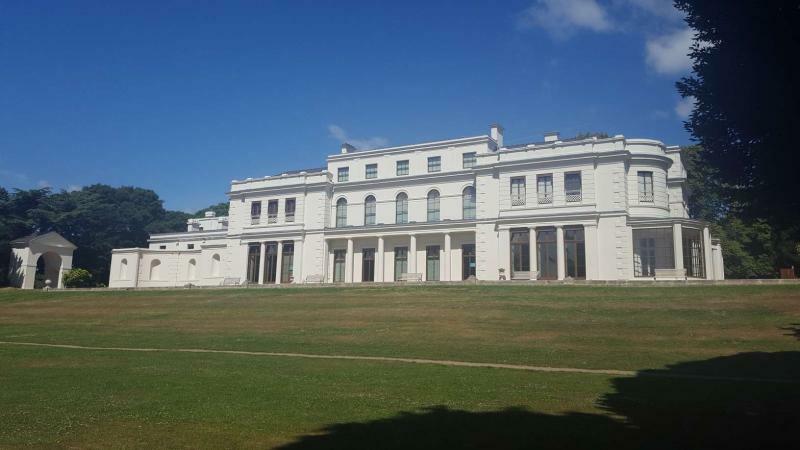 Within the estate, we’re delighted to offer the beautiful Rothschild Rooms within the Regency Gunnersbury Park House, the stunning glass Orangery and the classical Temple – all of which can be hired as spectacular individual spaces or in combination for between 30-200 guests. With a highly skilled and experienced team of event managers, we’re ready and waiting to help you create the perfect event; offering a personalised and dedicated service which can be tailored to suit your specific requirements, we will be with you every step of the way. Overlooking one of London’s most secluded Royal Parks, Hampton Court House is a stunning Georgian mansion set within nine acres of enchanting 18th Century gardens. With unique architectural features and superbly well-maintained rooms, this is the perfect venue for civil ceremonies, weddings and both private and corporate functions. 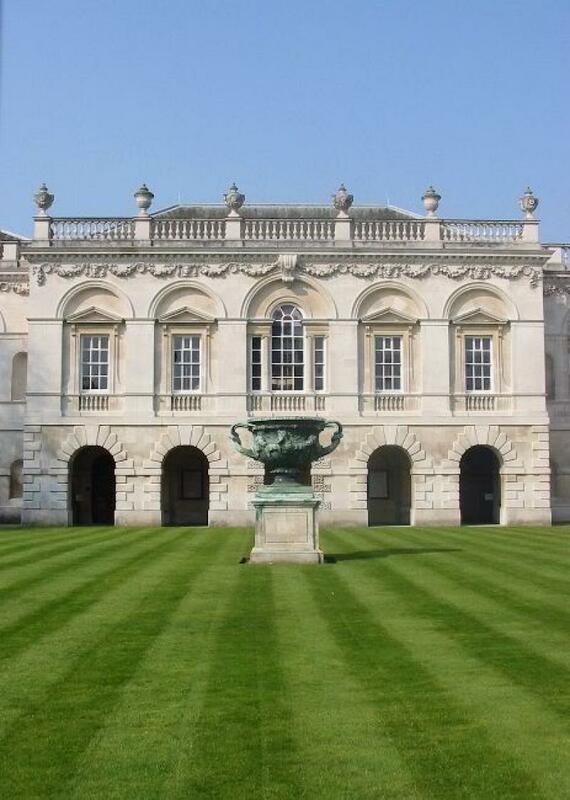 Built in 1757 by the 2nd Earl of Halifax, Hampton Court House was intended as an extravagant gift for his beautiful mistress, Anna- Maria Donaldson. The Earl, a lovable cad if ever there was one, met Anna-Marie while she was singing at London’s Marylebone Gardens. Rumour has it that the Earl was so impressed by her, he reportedly ‘fainted with ecstasy’. 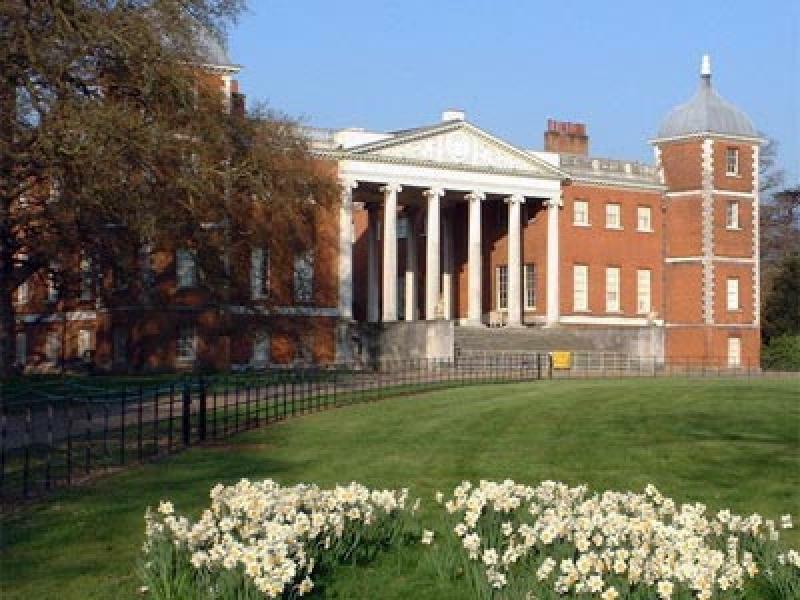 Hampton Court House is fully Licensed for civilwedding ceremonies. The House is a place of dreams. Set in 7 acres of magical 18th Century gardens, it is a hidden secret. The gardens are a sensory delight; palm trees rustling in the breeze, rabbits lazing in the sun, swans gracefully gliding across the heart-shaped lake. 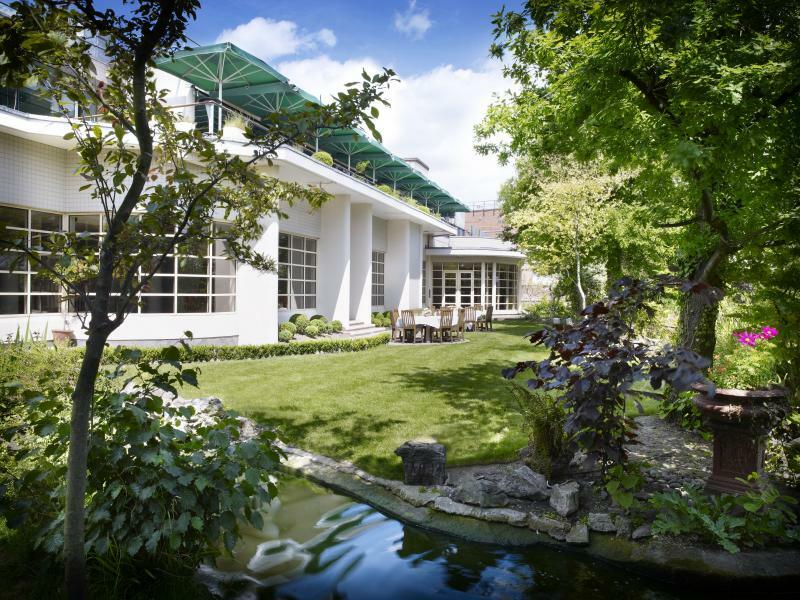 Surrounded on all sides by parkland, Hampton Court House offers totalexclusivity and privacy. Celebrity clients can be assured of absolute confidentiality. Nothing matches the sheer elegance of a wedding at Hatfield House venues. Whether you are looking for a small intimate wedding or a large celebration, we can accommodate your wishes to create your perfect special day. 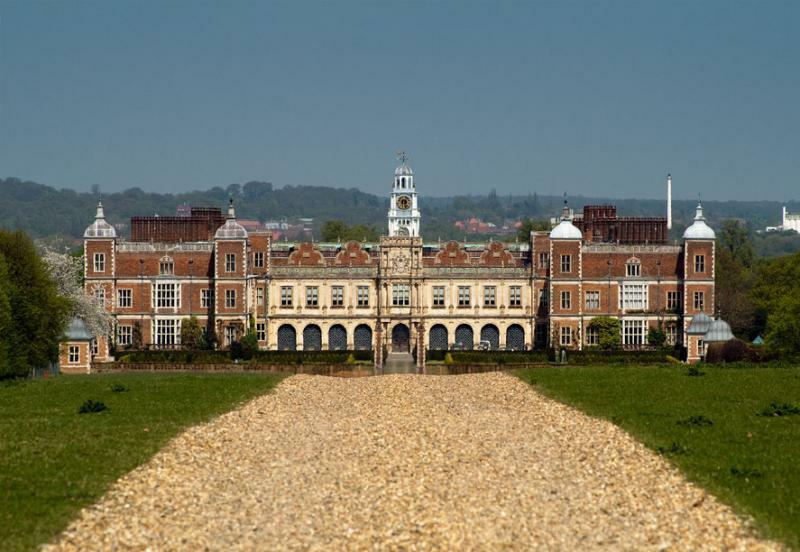 Set within the wonderful surroundings of Hatfield Park and charged with history, our venues offer a unique atmosphere for your wedding. You may choose from the magnificent Grade I listed Old Palace, where Elizabeth I held her first Council of State, or the Riding School with its stylish contemporary interior, flooded with natural light. The choice is entirely yours. However you choose to make, or celebrate, your vows, it is your day and everyone here at Hatfield House will do everything they can to ensure it's the most unforgettable day of your life. This stunning wedding venue located at Pinewood's historic manor house Heatherden Hall, offers a classic, formal arrangement of stately rooms. The grounds are spectacular and boast a lake and ornamental bridge providing the perfect setting for those memorable photos. The banqueting facilities are located in the original Manor House - Heatherden Hall, offering a formal arrangement of stately rooms overlooking sculptured gardens in the Buckinghamshire countryside. Heatherden Hall has a fascinating history and catalogue of notable owners including the famous Indian Cricketer K.S. Rhanjitsinhji and Canadian financier Lt. Col. Grant Morden. In the early 1900’s the original house was transformed into a Victorian showpiece, with a huge Ballroom and a Turkish bath. 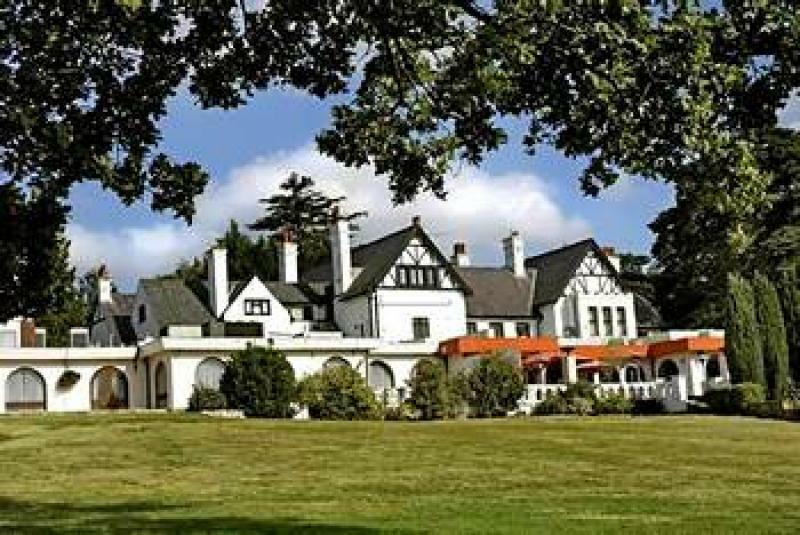 In the 1920’s it became a retreat for politicians and diplomats and, in November 1921, provided the venue for the negotiation and signing of the Irish Free State Treaty. No Bride will forget the moment she leaves Hedsor's majestic Bridal Dressing Suite to descend the Grand Staircase to begin the most memorable day of her life. Formerly a Royal Residence of Augusta the Princess of Wales, Hedsor House is your home for the most important day in your life. Set in a private 100-acre historic Buckinghamshire park perched high above the Thames, the house is the dream wedding venue to host your perfect wedding. Hedsor offers an elite ‘blank-canvas’ venue allowing you to create a truly unique wedding. Whether you wish to host an intimate 60-guest ceremony in the centre hall, a 140-guest wedding breakfast in the Grand Ballroom or wish to arrange for an 800-person marquee to be built on the lawns, you really are only limited by your imagination. Heston Hyde Hotel boasts one of the largest banquet spaces in London with a capacity to accommodate 1000 people for formal dining. 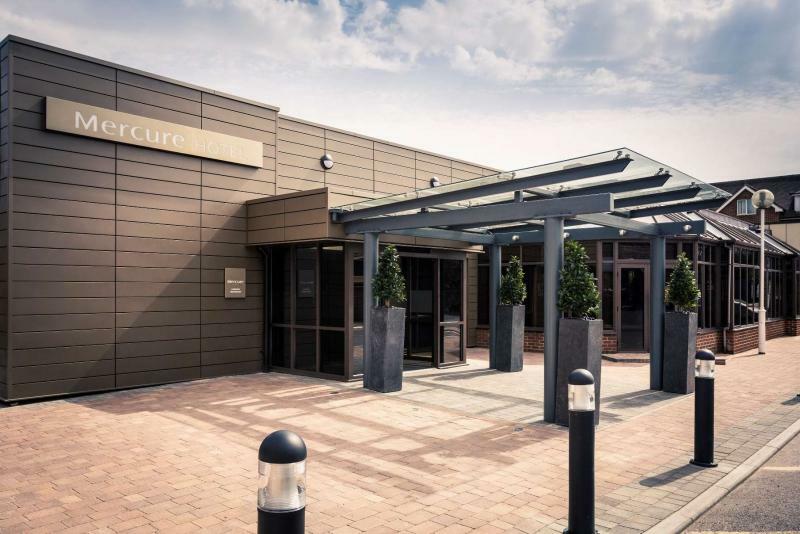 With separate entrance and newly built canopy, which is a must see feature and free car park for over 200 cars Heston Hyde Hotel is the ideal venue for Weddings. Hilton Cobham is perfectly placed for meetings in the South of England. 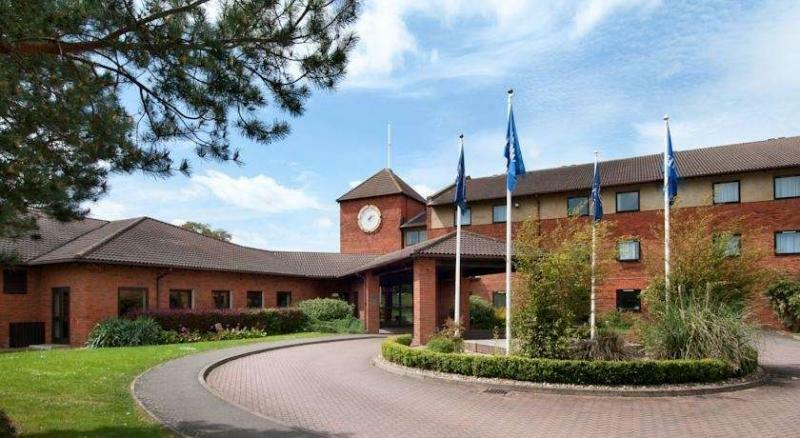 Just off Junction 10 of the M25 by the A3, it is the ideal venue for delegates to meet. Easily accessible to both Gatwick and Heathrow airports and only half an hour by train from London Waterloo. 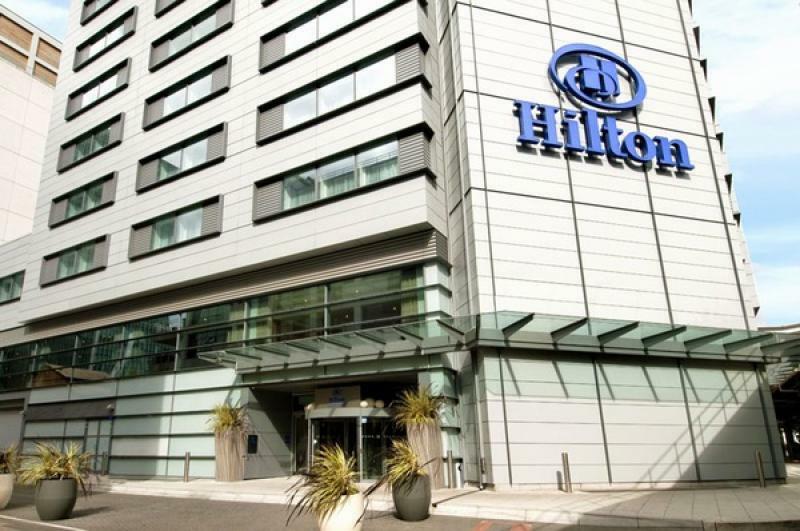 Hilton London Croydon is an excellent venue for your wedding, just 8 miles from Central London and easily accessible by car or train. Located on the outskirts of Croydon, the hotel provides a relaxed setting for your special day with up to 200 car parking spaces and 168 guest rooms to comfortably accommodate your guests. Located on the Ground Floor, The Weatherill is our main suite complete with private foyer and can cater for up to 350 guests for a wedding reception. 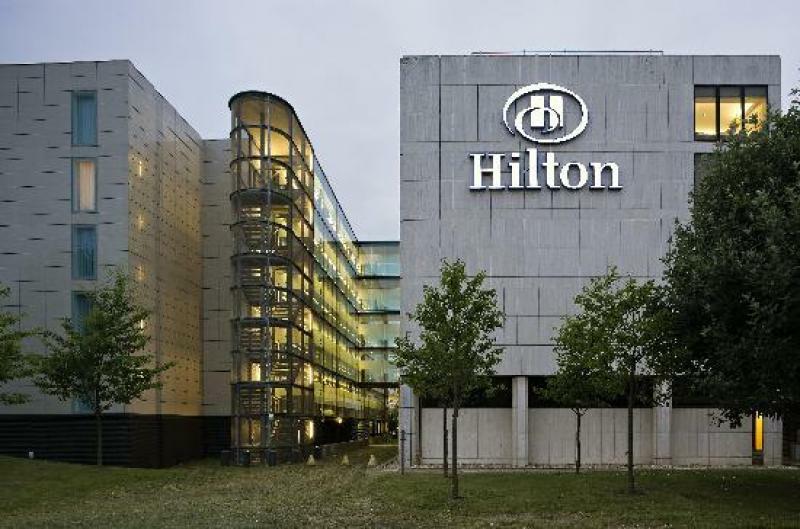 Here at Hilton London Gatwick Airport, we offer great experience in wedding receptions and understand how important it is to create an experience that truly reflects you and your partnership. Whether you’d like a completely traditional wedding, or prefer to incorporate some traditional elements, we can work with you to create a plan for your perfect day and help you create memories that will last forever. With a dedicated Wedding Advisor and our famously professional service, everything is designed to run smoothly and easily, allowing you to relax and make the most of your day. Our role is simple, we promise to take care of all the little details, to make sure you enjoy the wedding reception of your dreams. 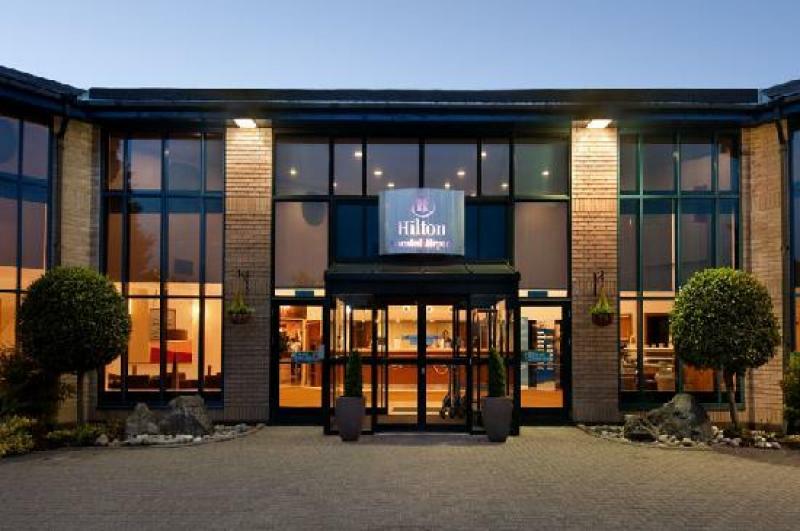 For a romantic, modern and stylish wedding venue, look no further than Hilton Milton Keynes. 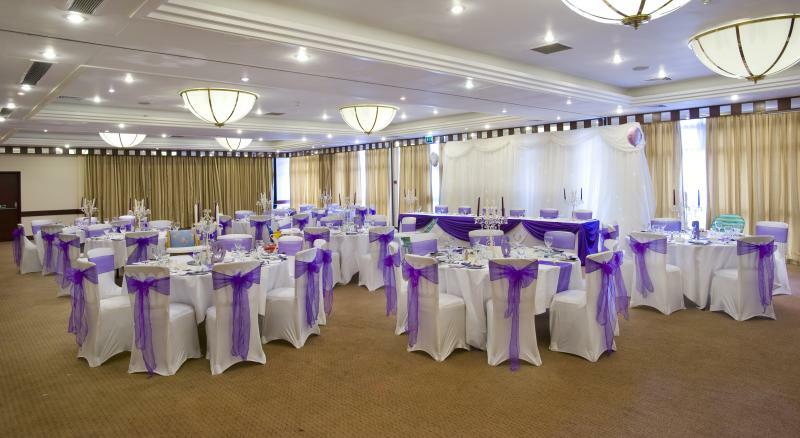 Located near the heart of Milton Keynes, the contemporary hotel is the perfect setting for a special wedding day. With a great location, beautiful selection of spaces and excellent service, you are sure to have an unforgettable reception. The terrace and outdoor space offers a beautiful backdrop for your important wedding photographs and is a fantastic location for your reception drinks. Our spectacular banqueting suites can cater for receptions with up to 180 guests. To help plan every detail of this important celebration, our dedicated team will be on hand throughout. Our New Horizons Bar and Lounge offers you and your wedding guests the perfect atmosphere for drinks and mingling before your reception. The elegant setting is a relaxing environment after the excitement of your ceremony. 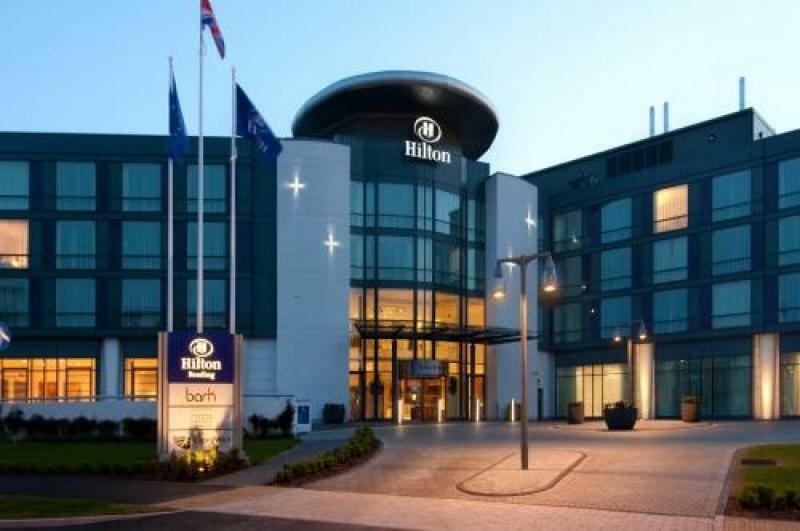 Located on Kennet Island near the River Thames and just a 5-minute drive from the historical town centre, Hilton Reading offers contemporary accommodation for both business and leisure travellers. Excellent transport links make it easy to get around, whether catching a train at the nearby Reading train station, attending a sporting event at the Madejski Stadium or browsing the shops at The Oracle. The Windsor suite accommodates up to 400 people for banqueting or 500 in theatre-style seating for events of any type from conferences to weddings. Spacious, bright and with an adjacent large pre-function area, the space is flexible to suit individual needs. Set against the backdrop of one of London's best known historical landmarks, Hilton Tower Bridge is a modern hotel with a striking exterior. 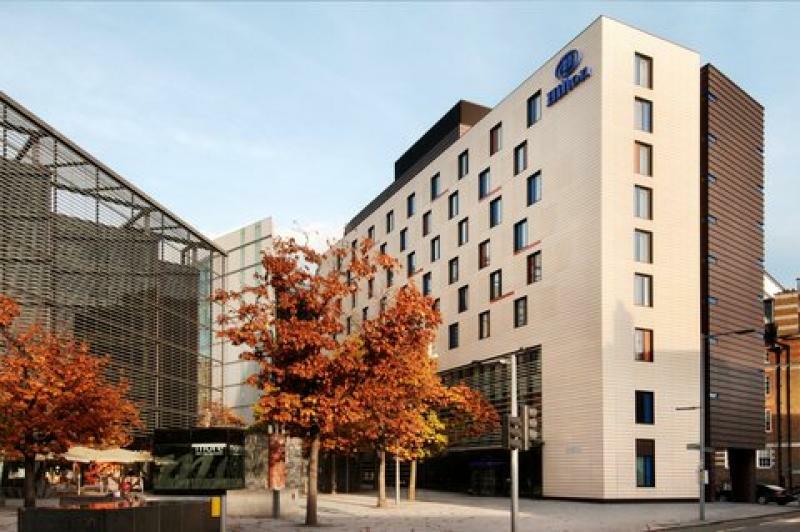 Ideally located on the doorstep of the city's financial and shopping districts and situated in the stylish 'More London' development, this contemporary London hotel is a 5 minute walk to London Bridge Station for underground and national rail services. The Tower Suite – beautifully simple, with bold flourishes, this impressive room can host up to 250 people in a dinner dance format or can easily be reduced to suit smaller parties and styles, introducing chill out areas, funky striking lighting and tall imposing ceilings to dazzle and delight your guests…. 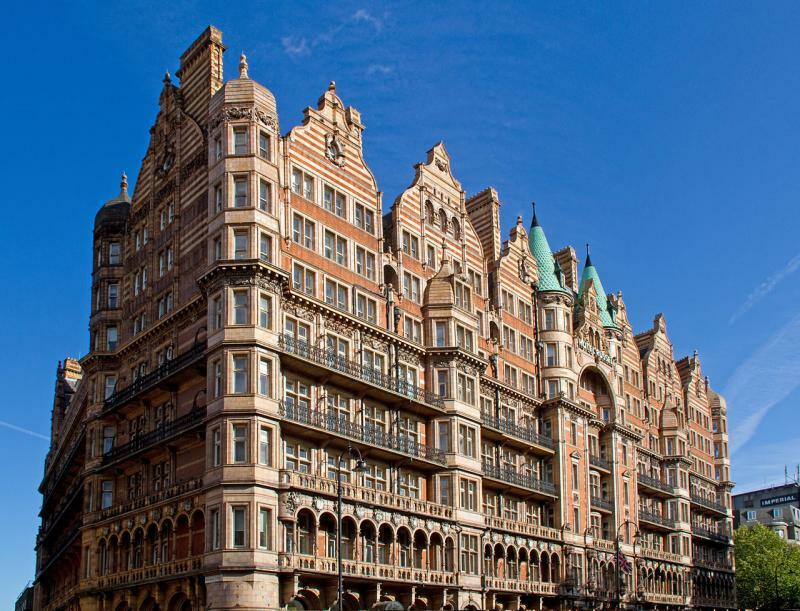 This London landmark hotel has won a number of prominent Hilton service awards, including the coveted Brand of Excellence award. Located within the heart of Hitchin, Hitchin Priory was originally a Carmelite Monastery, which dates back to the 14th Century. The venue is oozing with history and tradition, therefore makes the perfect wedding venue. Civil ceremonies can be conducted in the splendour of the main house for up to 100 guests. 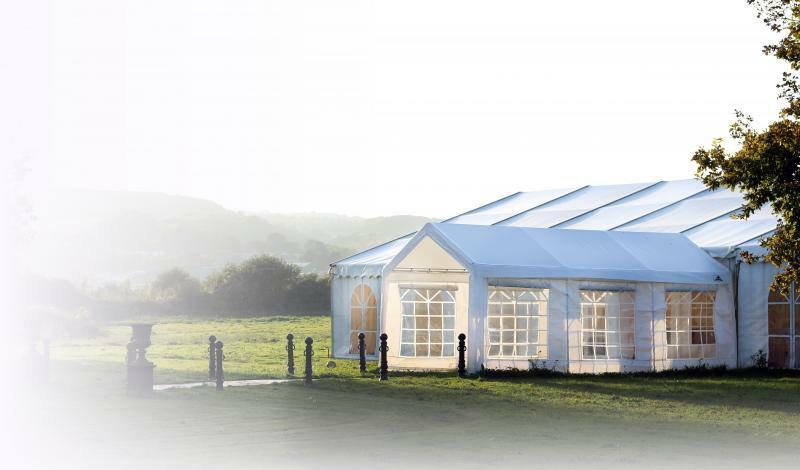 Our stunning Marquee is located within our private 19 acres of parkland and can host wedding breakfasts of up to 200 guests. Both the main house and the marquee host magnificent views of the parkland, which makes the perfect backdrop for your memorable photographs. The Waterfront suite is a truly unique venue. Located on the banks of the Grand Union canal it offers stunning waterfront views. The Waterfront is able to accommodate up to 700 guests in a standing reception and 550 for a sit down dinner. We also offer the choice to hold your wedding at our venue with our exclusive wedding license with Hounslow registry office, providing you with the opportunity to get married in our stunning setting just before your wedding reception. 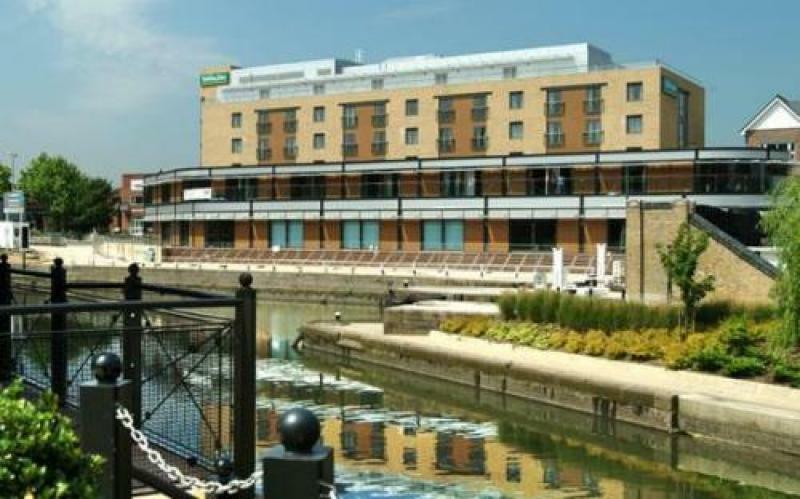 The Holiday Inn London Brentford Lock also specialises in catering for a wide range of events from weddings, parties, gala dinners, product launches and events for up to 700 guests. With a selection of banqueting suites and 135 four star bedrooms, a stylish lounge and bar and a health club with an indoor heated swimming pool. 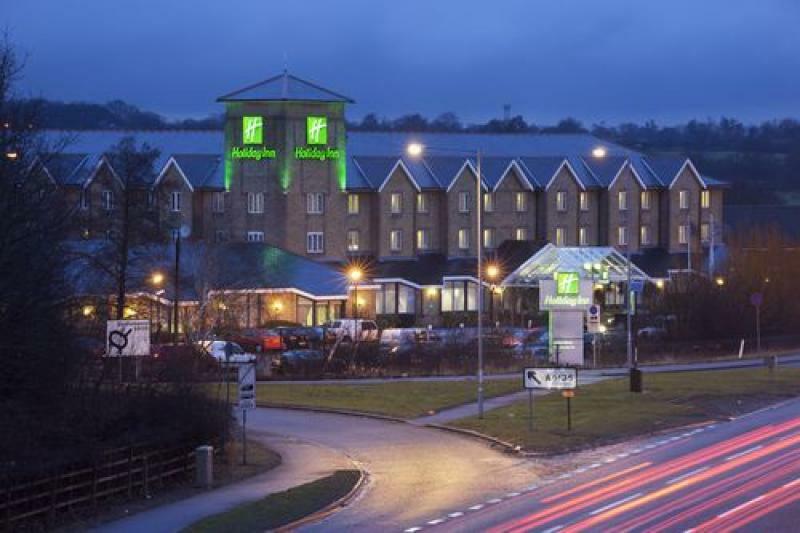 The Holiday Inn London Elstree is a great setting for your event. The magnificent Dupont Suite at the Holiday Inn London Elstree, with its own stage, dance floor and adjoining reception and bar area, is fully air conditioned and can accommodate up to 260 guests for a sit down dinner or 400 for a standing reception. The bright and airy Studio with its own private bar and dance floor is fully air conditioned and can accommodate 120 guests for dinner or 250 for a reception can be used in conjunction with the Dupont suite. The Berkshire Suite, located in the main hotel, is a modern fully air-conditioned suite licensed for civil wedding ceremonies and suitable for wedding receptions from 50 to 350 people. The Holiday Inn Maidenhead-Windsor has all the facilities and expertise to host your special day. The Suite’s large foyer area is ideal for a welcome reception, and can also be used for a bar/buffet, allowing plenty of room in the Suite for dancing the night away. These facilities, together with landscaped grounds for photographs and/or marquees and recently fully refurbished accommodation including a number of suites, will ensure that your wedding will be a very unique day. 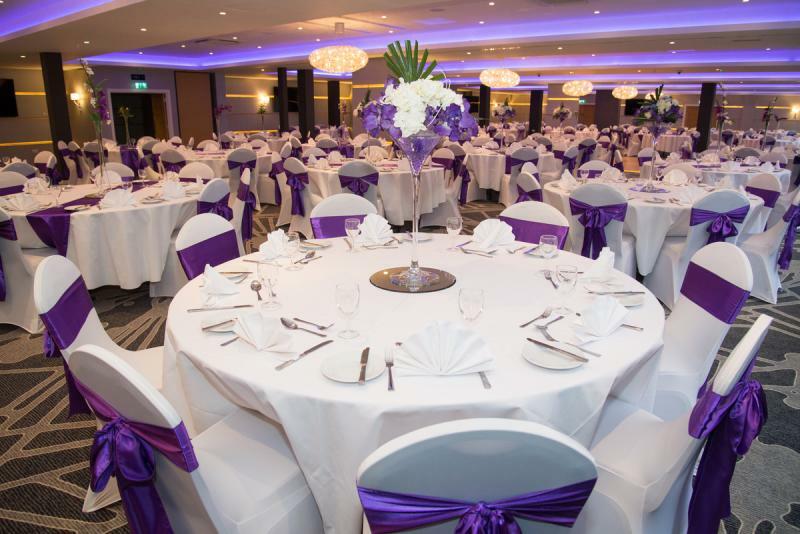 Whether you’re looking to hold a small intimate wedding in Maidenhead or a huge wedding reception party for hundreds of people, the Maidenhead Hotel is the ideal wedding venue. 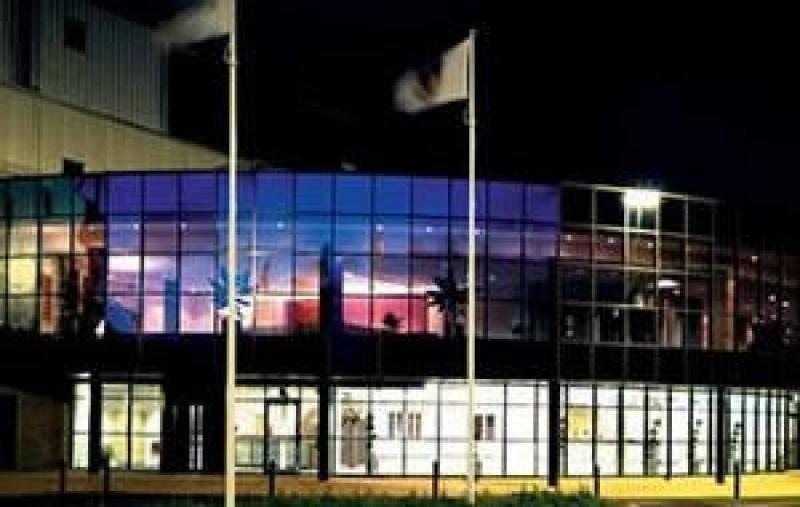 With over 1700sqm of event space, ILEC Conference Centre boasts one of the largest conference spaces in London. 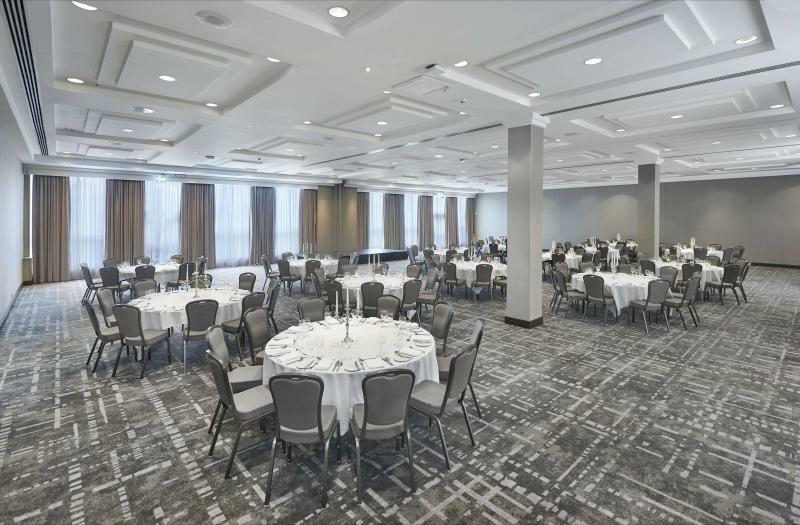 Best known for its sheer size, flexibility of space and latest technological features, the newly renovated London Suite is a stunning ballroom for events of any size and type. 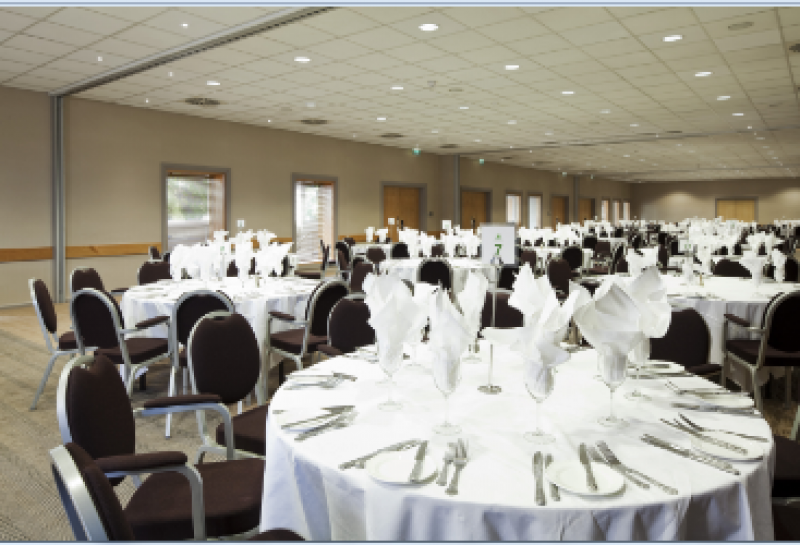 With 5 additional small to medium boardrooms, ILEC Conference centre can cater for events from 2 to 1200 guests. Fully open, the London Suite will transform into an astonishing ballroom to set your gala dinners, wedding receptions, award ceremonies, Christmas parties and more, accommodating up to 800 guests. Located on the outskirts of Oxford, the Kassam Stadium is recently refurbished and is highly regarded for holding self catering events. Our staff understand and appreciate different customs and values, with a member of our team on hand to create a bespoke wedding package that will rival every other Asian wedding venue near Oxford. The Quadrangle Suite, with it’s full climate control, has a total capacity for 500 seated guests and has partitions that can offer segregation for different seating plans. With free parking for 2,000 vehicles and accommodation on site at preferential rates, we have all the attributes for your special event. Nestled amongst one and a half acres of themed gardens with natural wildlife, The Roof Gardens is a one-of-a-kind London destination. Set on the 6th floor, high above Kensington High Street, with three themed gardens and four resident Flamingos, The Roof Gardens is incomparable. Exclusive Events Host an exclusive event to remember at The Roof Gardens! 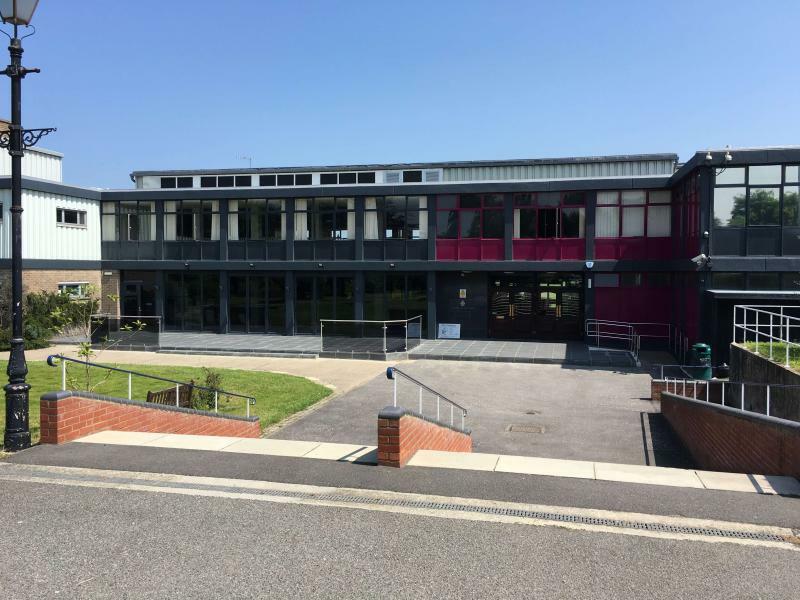 From dinners to discos, fashion shows to fireworks, Birthdays to weddings, business meetings and training days to BBQ's on balmy summers' nights, our stunning venue is ideal for evens from 50-500 guests. Exclusive hire is available every day, except Friday and Saturday evenings when the Private Members Club is open until 3am. The Private Members Club The Roof Gardens comes alive on Friday & Saturday nights, as London's only rooftop Private Members Club throws opens its doors! A haven of style and relaxed glamour, guests can enjoy the opulent cocktail bar and capacious dance floor which complements the VIP area for those seeking the ultimate in privacy! Kent House Knightsbridge is a Victorian townhouse that stylishly combines historical elegance with the intimacy of a private house, and provides an elegant venue space for a wide range of events, including press days, receptions and weddings. This events venue boasts many beautiful period features with ornate cornicing, an entrance hall with a black and white marble floor, a sweeping grand staircase lit by natural light and large floor to ceiling windows. Flexible spaces, seamless service and offer endless possibilities for both private and corporate hirers. 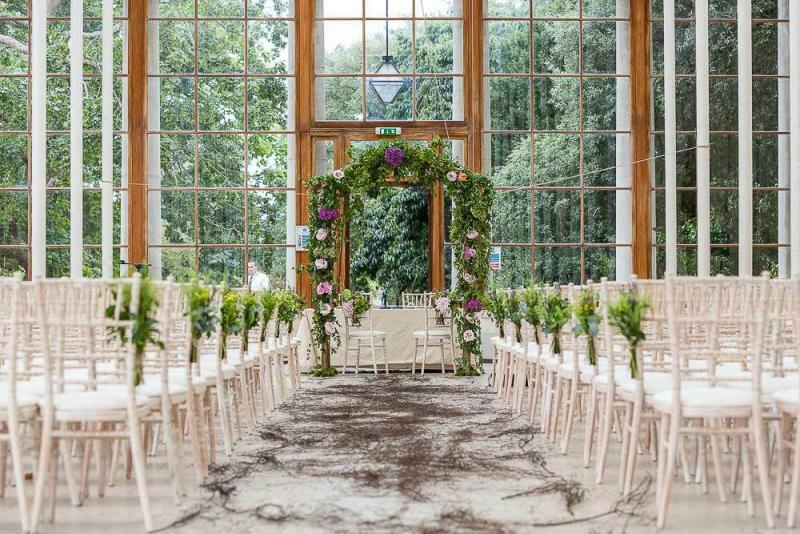 Within easy reach of Central London, Kew Gardens provides natural surroundings, venues and services for your wedding, private or corporate event. We have historic and unique venues, to suit any occasion you plan on hosting at the Gardens. With its timeless Regency architecture and unmatched location in the heart of London's West End, Le Méridien Piccadilly is recognised as the landmark hotel in Piccadilly Circus. All Central London's cultural attractions are within walking distance from the hotel, giving you great locations for photo opportunities. This unique and exquisite Manor House dates back to the late 17th century and now nestles in the heart of one of Britain’s most famous film studios. With its elegant black and white marbled floor entrance and the original ornate fireplace, a breath-taking Orangery and private enchanted woodlands, our stunning venue is the ideal backdrop for your special day. Littleton House is the idyllic setting for both summer and winter weddings whether it be formal, relaxed, lavish or intimate we have the perfect backdrop and can guarantee you a simply unforgettable day. Based in one of London's most iconic locations and being the closest building to the London Eye, The London Film Museum can be found occupying the first floor of County Hall. The London Film Museum has eight unique spaces, five of which over look the River Thames, with nothing to impede the view across the River. With its high ceilings, baronial spaces and elegant wood panelling that transcends its period, County Hall makes a truly unique destination for events and hospitality. The London Film Museum brings the venue back to life and gives you the opportunity to walk the corridors of history, in a fun and engaging setting. Its versatility is its strongest asset, in last 12 months playing host to: The British Film Awards, the World Poker Tour, Arab Idol, Filming for Danny Boyles latest movie: ‘Trance’ - as well as many weddings and high end corporate conferences and events. Entering at street level from the Piazza or via our Wellington Street entrance - through our glass fronted reception area - you are compelled to explore downstairs where the full impact of the space reveals itself. There is approximately 15,000 sq feet available for dinners, receptions and exhibitions from 20 to 450 guests.The polished diamond concrete floors, white pillars and walls are the perfect blank canvass to make the space totally bespoke. Versatility is the key for modern event spaces and here the venue can be split many ways, allowing even the most spacious of venues feel as intimate as many of its smaller counterparts. Specifically designed to meet the requirements of all kinds of events, the building has been fully adapted for ease of accessibility. There is also a mezzanine level just above the reception with great views out on to Covent Garden. This space is perfect for VIP drinks receptions, elegant entrance music and further exhibitions, whatever you need. ZSL London Zoo is a romantic alternative to the traditional wedding venue and provides a magical backdrop for your special day. Ceremonies are held in elegant suites overlooking exotic animals and receptions range from Rainforest Lookouts to Animal Kingdoms. ZSL London Zoo holds a civil ceremony license for The Mappin Pavilion which holds up to 90 guests, together with The Prince Albert Suite holding up to 260 guests. 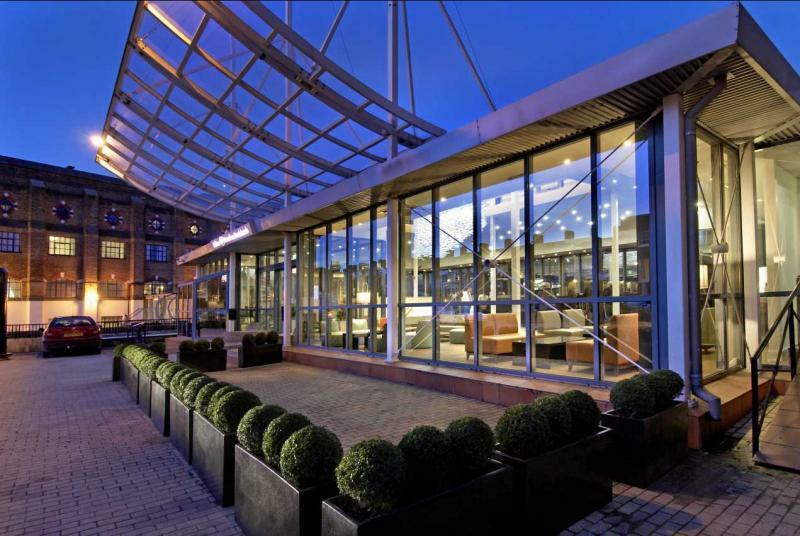 The Mappin boasts 360 degree views through floor to ceiling windows and from the terrace looks out over graceful ‘Outback’ animals in their grade II listed enclosure. The Prince Albert Suite's main feature is its tranquil lawn and private terrace, together with its stunning grandeur and decor. Couples love to get married at ZSL London Zoo due to it's unique and fun setting, not to mention that all profits from the wedding go directly into helping critically endangered animals. Nothing shows off our unusual venue like a reception in one of our Animal Houses! These are available for 1.5 or 3 hours after the zoo closes, and can be booked individually or in conjunction with a suite where the ceremony would be held. It might seem strange to think of somewhere as grand as Luton Hoo as being a romantic hideaway, but Queen Elizabeth and the Duke of Edinburgh often returned to Luton Hoo in the early years of their marriage to celebrate their wedding anniversary. It would seem that weddings at Luton Hoo come with a certain Royal approval. The grade II listed Mansion House creates one of the most impressive looking wedding venues in Bedfordshire and Hertfordshire. Its history, marble interiors and beautiful period rooms, including a spectacular converted Orthodox Russian Chapel, are enough to make any bride feel like a princess on her wedding day. From an intimate gathering of close family and friends to a wedding party of 300 guests, we offer beautifully appointed rooms which range from the intimacy of the walnut panelled Churchill Room to the Faberge Suite with its pillars, alcoves and artworks recalling the days when the Mansion House was home to one of the world’s richest collections of Faberge pieces. Even more spectacular is the Romanov Suite, with its stained glass and icons recalling its days when it was the private chapel of the Russian born lady of the house. Today, it creates the most romantic of settings for a wedding party on a grand scale. An exquisite jewel in the midst of 150 acres of beautiful rolling countryside, the Manor of Groves is a stunningly picturesque venue for weddings and family celebrations. Manor of Groves offers the beautifully appointed Colonnade Room, seating 120-150 guests, for breakfast or delectable evening dining and receptions. The Manor Suite is a stunning space roofed with a glass conservatory and overlooking the lush beauty of the Oriental Gardens. Seating 50 – 500 guests, the Manor Suite also offers the unique and breathtaking option of holding your civil ceremony within the outside gazebo, allowing for a dramatic entrance into the Suites; luxuriously appointed interior. This truly functional area includes a private bar and entrance hall. Manor of Groves is a hotel, golf and country club set in the countryside, yet within a short drive from Stansted Airport. 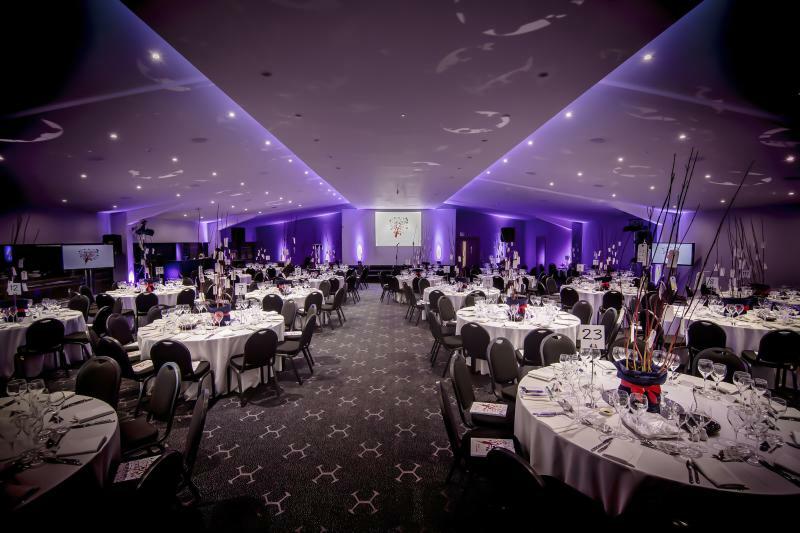 The Mercure London Heathrow offers fully renovated versatile function rooms with capacity for up to 200 people. The state-of-the-art facilities feature, climate control and natural daylight (blackout facilities also available)providing the perfect setting for successful event. Take advantage of our adjacent conservatory and enjoy the space offered. Mercedes-Benz World is the ultimate events experience. From stunning facilities with track views, dynamic driving experiences, to stimulate guests on arrival, Mercedes-Benz World is more than just a great venue - it’s an experience on every level! Our versatile interior and exterior spaces are ideal places for your big day. Each area is highly flexible and can be customised to your specific requirements. From a small meeting to a large-scale outdoor event, our impressive building and extensive grounds are the ideal for hosting inspirational events and parties. This beautiful 450 year old hotel retaining many original features makes it one of Windsor's most unique hotels. Located in the heart of the magnificent town of Royal Windsor, opposite the historical Guildhall completed by Sir Christopher Wren and two minutes from Windsor Castle. The Windsor Suite is traditional grandeur meeting 21st century splendour in this, the oldest and largest ballroom in the town of Windsor. The original Chandeliers have been restored enhancing them with subtle lights, hung silk curtains designed to original contemporary styling and the detail on the vaulted ceiling has been designed to bring all of the features together. Middle Temple has a rich tradition of romance. Members of the Inn have included countless poets and playwrights, including William Shakespeare, who have been inspired to craft tales of passion and revelry. 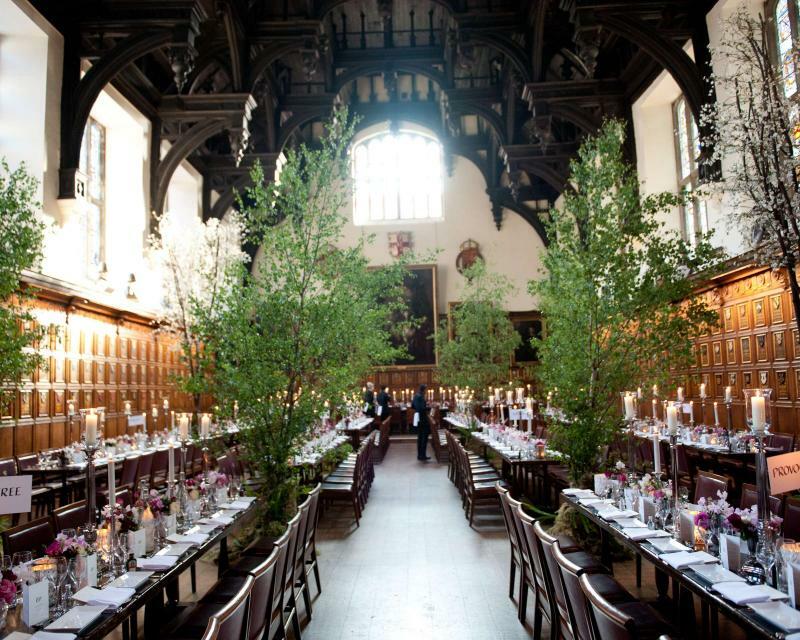 Such a romantic heritage coupled with beautiful and secluded surroundings; make Middle Temple the perfect setting in which to celebrate a landmark event in your very own personal history. The Orchard Suite encapsulates elegance; with 21 foot high ceilings and stunning light fittings, it has the ability to create the ultimate mood setting. It can hold a maximum of 500 people and is a highly engineered suite fitted for equipment. The high, weight fitted, full wired ceilings, allows for a blank canvas upon which you can create your most perfect day. The room can be divided, with a sliding partition, to create well equipped rooms so that whilst you are having your photographs taken, your guests can indulge in pre-wedding reception drinks and snacks. The Gloucester and Bailey’s Hotel is the perfect venue for your special day. We are here to ensure that one of the most important days of your life is celebrated with finesse and style, and that all your ideals and aspirations are met. This beautifully renovated 18th century townhouse makes a perfect setting for weddings. Overlooking the lush greenery of Grosvenor Square Gardens, your special day will have the perfect backdrop. The Millennium Hotel Mayfair's Ballroom Suite is the largest and most sumptuous space available. The grand Ballroom Suite is decorated in an English country style, offering elegant private meeting and dining areas, with new technology. Impressive chandeliers and detailed cornices discreetly hide the modern lighting and sound equipment. A separate hotel entrance leads through to the marble ballroom foyer and directly into the ballroom. The tall wooden doors, panelled walls and ornate wall lights complete the classic style of this room. 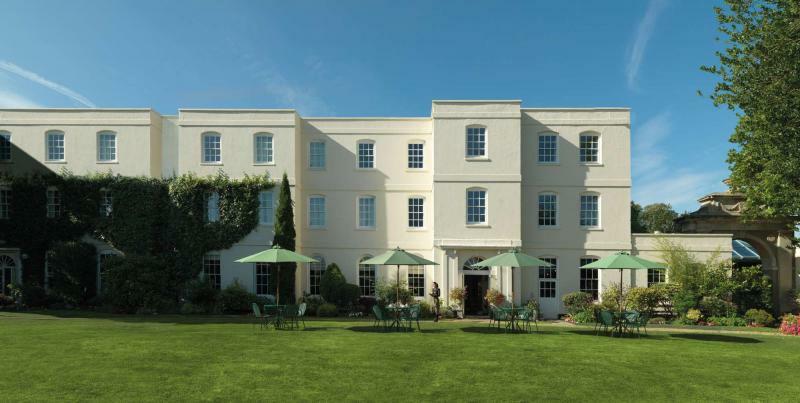 A centuries-old retreat hidden in the River Thames, Monkey Island Hotel offers the perfect setting for everything from weddings to birthday parties. Beautifully situated on the banks of the River Thames, Monkey Island provides a picturesque and unforgettable setting for your wedding ceremony and reception. Accessed only by footbridge or boat and surrounded by elegant gardens, Monkey Island is reminiscent of a secluded paradise, yet is only ten minutes from Windsor and less than an hour’s drive from Central London. The peaceful landscaped gardens, shrubberies, and lightly wooded areas provide a stunning backdrop for your photographs. There are two mooring points for those wishing to arrive or depart in style by boat. Both the Temple and Pavilion buildings are Grade I listed, dating from the early eighteenth century. Much of the original architecture and elegant decor still remains, ensuring a unique and memorable venue in which to celebrate one of the most important days of your life. 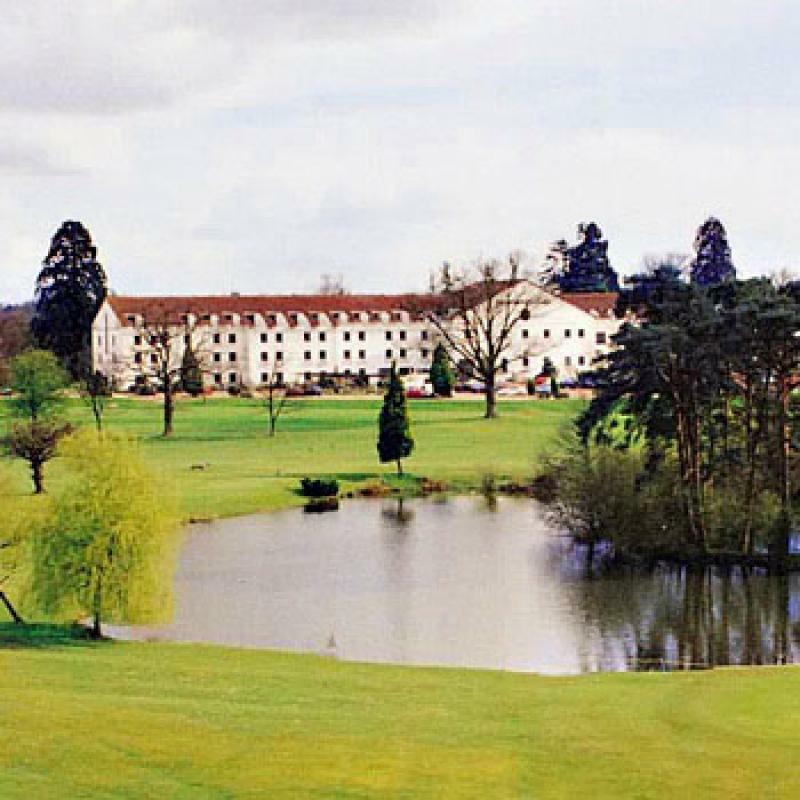 Boutique four-star hotel, conference venue and spa in Hertfordshire provides the perfect location for leisure and business. Nestled in the quaint Hertfordshire village of Little Wymondley, Needham House Hotel is a recently refurbished four-star boutique hotel surrounded by beautiful countryside. We are ideally located just a 30 minute train journey from Central London, or a short drive from junction 8 of the A1(M). Nether Winchendon House is timelessly enchanting and fabulous. This venue is absolutely unique and perfect for a truly romantic day and wonderful photographs. We have been an exclusive Wedding Venue for over 25 years and give our couples the freedom to be totally relaxed, not having the pressure of limited set-up times and we welcome you to bring your family and friends to come with you to decorate for your special day. There are different areas where your guests can mingle without feeling confined to just one space and you can enjoy the magnificent countryside which will surround you in a unique, friendly and welcoming atmosphere. An enchanting location for a Marquee Wedding is The East Lawn, surrounded by rustic walls and old fashioned English flowers. The Walled Garden is smaller and more intimate and particularly suitable for weddings in the winter months. The South Lawn runs down to the River Thame and a marquee in this location has views across the landscape of the Estate. 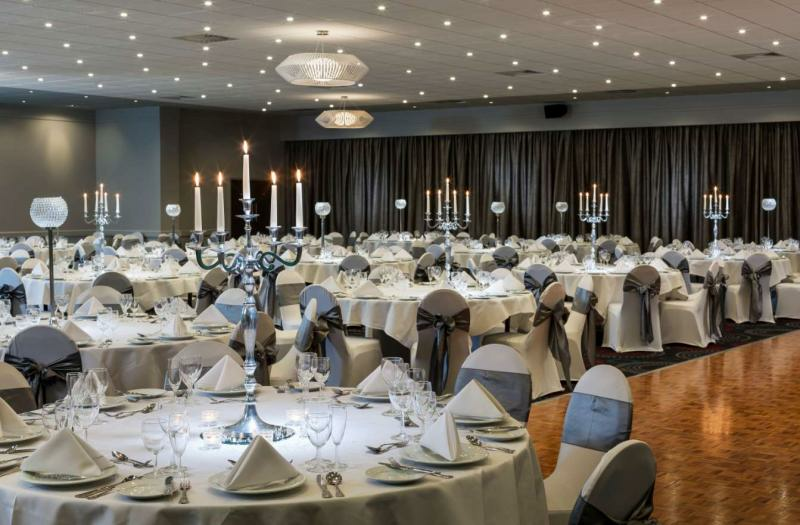 Known as one of the best wedding venues in the South of England, the fabulous facilities and complementing amenities available with the Newbury Racecourse, make it an irresistible location. Accommodations range from 200 to 600 guests, beautiful outdoor areas for photographs abound, licensed to marry and parking space for over 1000 vehicles. The racecourse offers a spacious reception area where your guests can enjoy appetisers and welcome drinks before entering the main banqueting room. Nestled within acres of sweeping parkland is North Mymms Park. Surrounded by truly spectacular views and beautiful gardens, this exclusive use venue is truly a hidden gem and for the first time in the Park’s long history it is now available for private hire! With our experienced staff offering you the peace of mind needed when planning your special day, you can rest assured special care will be taken to make your day truly memorable. Our Grade I listed Mansion House is the most romantic backdrop for your wedding. It is a fascinating secret hideaway soaked in history and the perfect place in which to celebrate an occasion that will be remembered for years to come. The Mansion House is ideally suited for a wedding with a wide selection of its rooms available, complete with fine paintings and magnificent chandeliers, it’s enough to make any bride feel like royalty on her big day! Licensed to hold ceremonies inside The House as well outside in The Loggia, we can accommodate up to 200 guests for your civil ceremony and up to 400 for your Reception in The Pavilion. 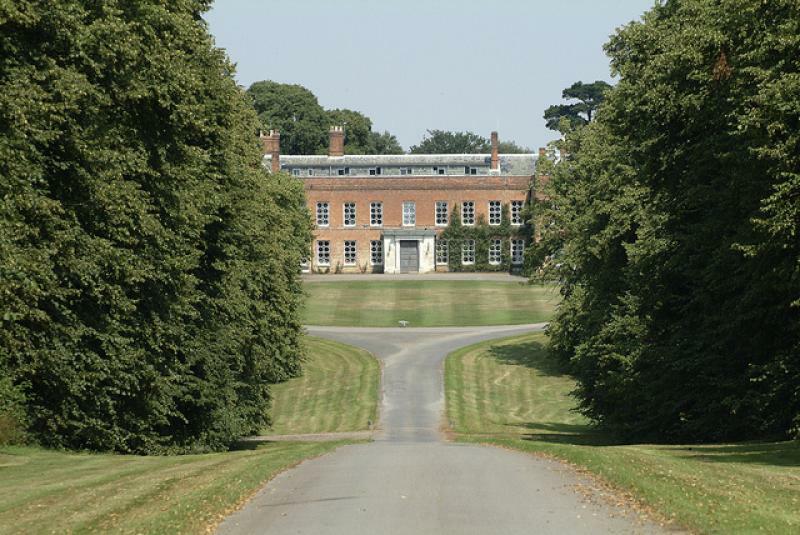 Northbrook Park is a spacious delight found outside London, set in 120 acres of parkland on the Hampshire Border. The Grade ll listed eighteenth-century manor house is privately owned and can be hired exclusively for wedding celebrations. The peaceful property is an idyllic setting for Londoners to make the most of the countryside on their doorstep: peacocks roam the grounds while guests meander through charming walled gardens adorned with climbing roses. 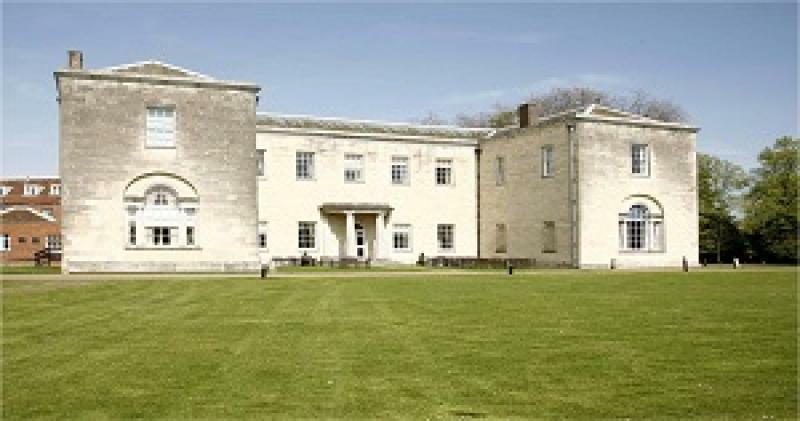 Northbrook Park is fitting for both the ceremony and reception and couples can have exclusive use of the rooms and gardens for their Hampshire Wedding. Northcote House is a stunning neo-Georgian mansion situated with 65 acres of beautifully manicured parkland and the perfect place for a more intimate wedding. We have two rooms licensed for civil ceremonies and an outside area in which you can also get married. You will have the house and the surrounding grounds exclusively on your special day, as well as a dedicated Event Manager to ensure everything runs smoothly. Here, it’s the little details that make all the difference and Sunningdale Park will ensure that your wedding is a timeless celebration! 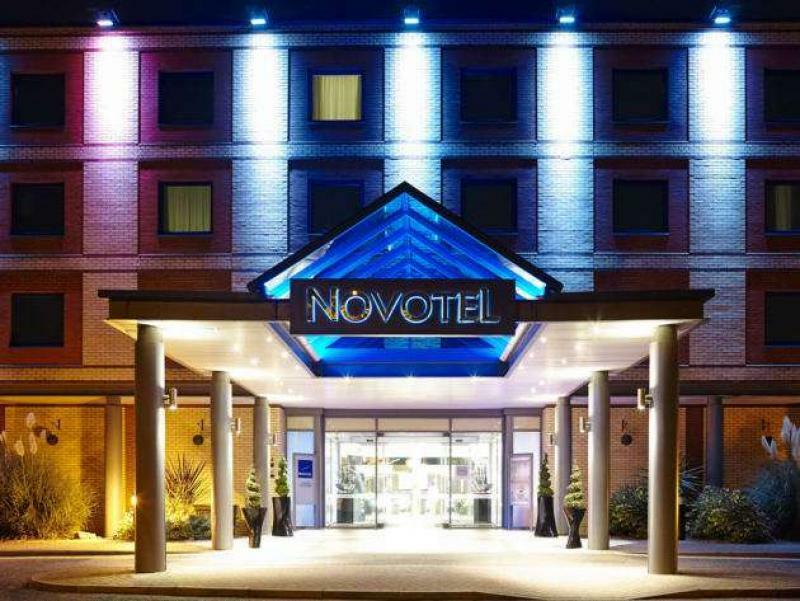 Just a short drive away from Heathrow International Airport, Windsor Castle, Legoland and Stockley Business Park, the 4-star Novotel London Heathrow M4 Jct. 4 is an ideal base for both business and leisure guests. Enjoy the luxury of our indoor heated pool, well - equipped gym, contemporary bar and restaurant, and ensure your travels are stress-free. Our spacious, well - equipped meeting facilities can cater to both business and social events up to 180 guests. 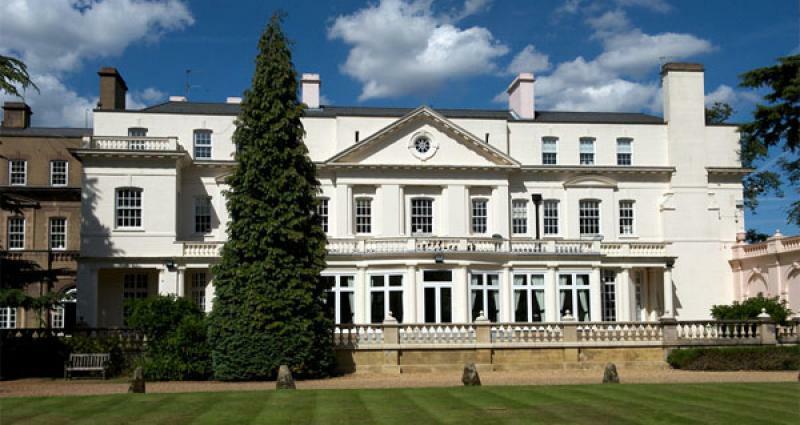 The Oatlands Park Hotel in Weybridge is one of the finest 4-star hotels in Surrey. Set amidst the splendour of manicured gardens, the hotel offers the best of breathtaking scenery and fine facilities. 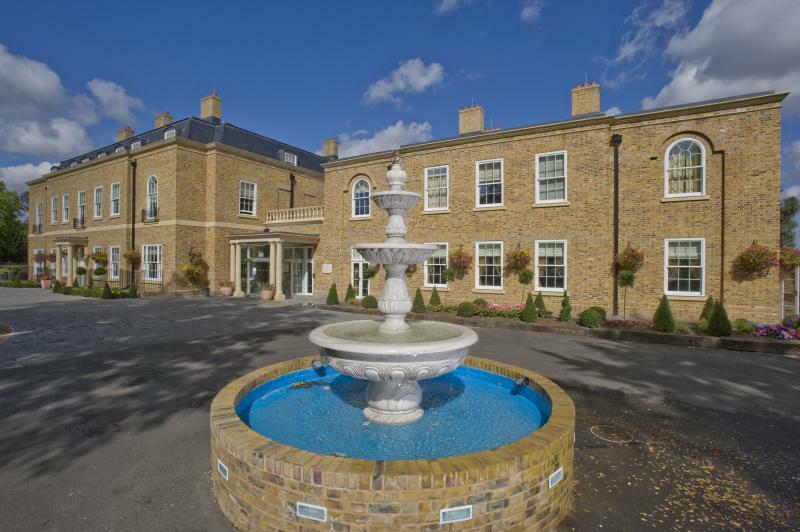 Only a 20 minute drive from London Heathrow airport, our hotel is a popular choice for relaxing getaways, business and weddings. The privately owned historic country house became a hotel in 1856 and stands on the site of the grand Royal Palaces of Henry VIII and Elizabeth I. The great cedar tree at the front of the hotel was planted by Charles I to celebrate the birth of his son, Henry of Oatlands. A perfect venue for celebrations, events and conferences. 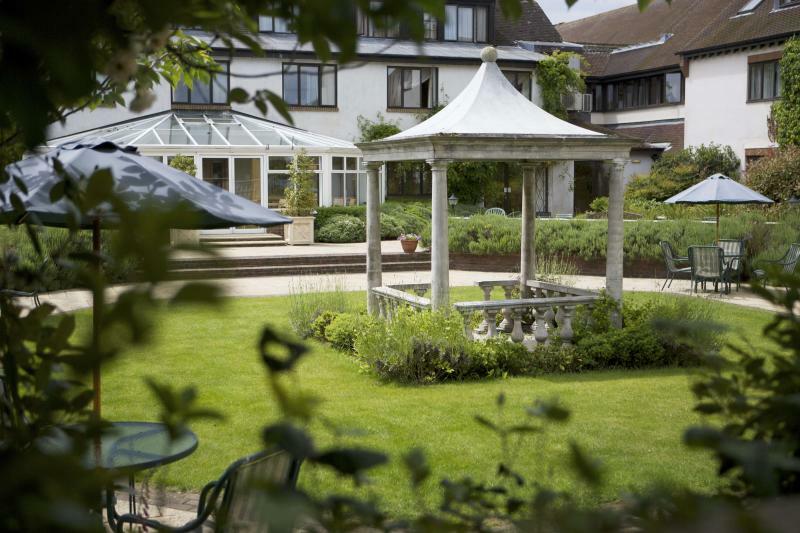 We boast superb hotel accommodation, stylish meeting and function rooms, breathtaking gardens with surrounding woodland. 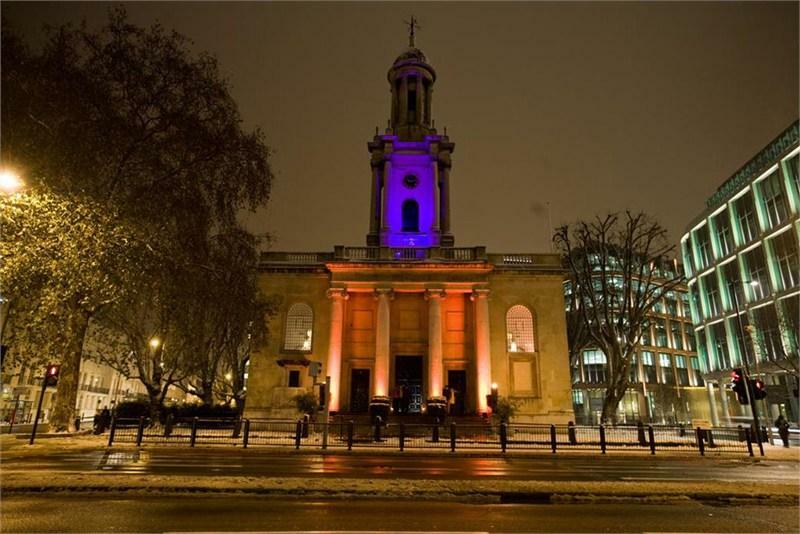 Officially opened March 2014, the venue is one of the newest event venues in central London. With a ground floor and mezzanine, the venue is able to host seated dinners for up to 250 guests and standing receptions for up to 750 guests. The venue has already hosted some of London’s most prestigious events, including The Elle Style Awards and the after party for the BRITS with Universal Music and Soho House. An ‘amphitheatre’ type space allowing for the main event to be surrounded by additional activities. The venue is naturally dark with oak parquet flooring, allowing for lighting to have a huge impact on any event. The space is naturally suited to standing parties, although sit down dinners and conferences have already been held with great success. Built in 1826 on its own ‘island’ in the heart of the capital, One Marylebone has rapidly become a firm favorite for event organisers and private clients looking for an elegant, yet flexible venue. Beautifully refurbished to the original designs of Sir John Soane, the Grade I listed venue boasts 3 unique hirable spaces plus landscaped garden, moments from Regents Park. The grandeur of One Marylebone has attracted blue-chip brands from a variety of industries with a focus on fashion, beauty and the arts. 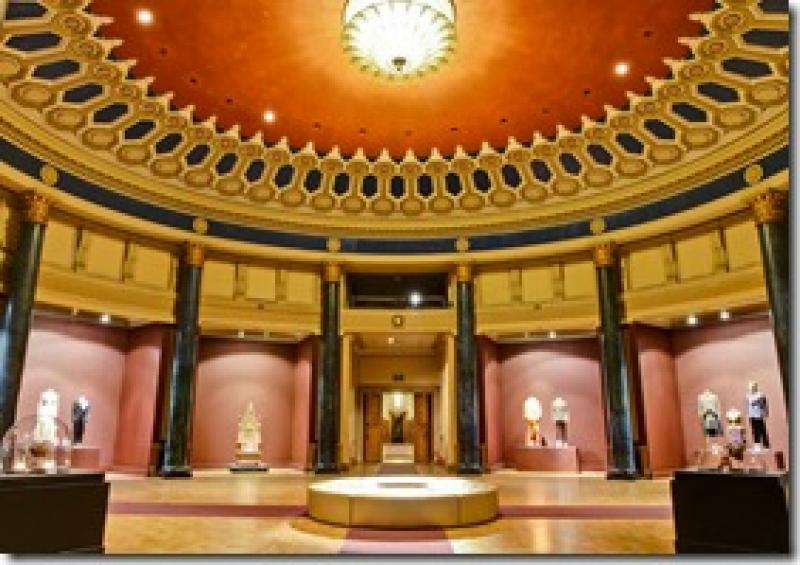 The Soane Hall is the jewel in the crown of One Marylebone. Over 27 feet high, the room is impressive in size as well as beauty. Although full of character with its mosaics and stained glass windows. The East and West galleries are each 1200 sq foot, situated on the first floor. Both rooms are flooded with natural daylight from floor to ceiling windows – the rooms are at the heart of the architect’s passion for light and its effect. The Galleries can be hired incredible contrasting reception space for a main function on The Soane Hall. 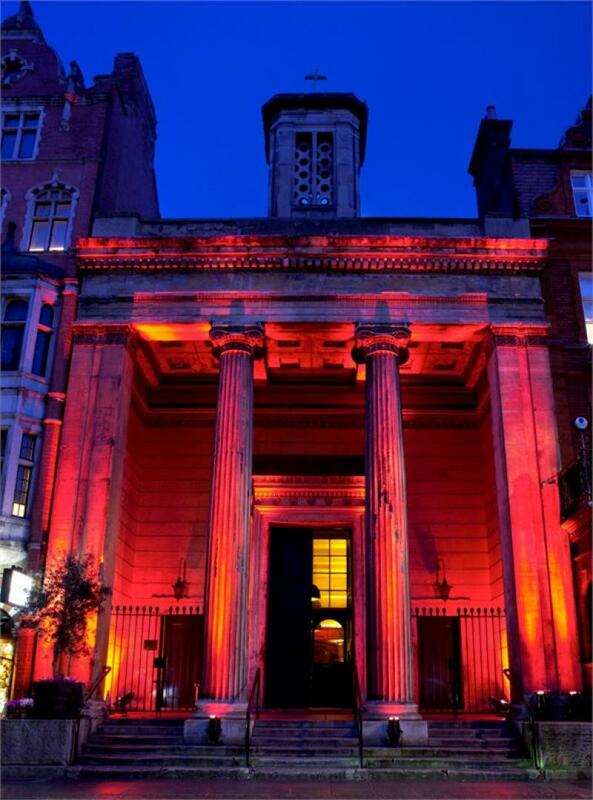 Built in 1825, One Mayfair has recently reopened its doors and is set to be London's newest most spectacular venue. This historic landmark in the exclusive West End has been carefully restored and retains all of its timeless majesty required to home a wide range of events. After years of neglect and lack of funding this historic Grade I listed building has undergone months of refurbishment bringing it back to its former glory. The Grand Hall is One Mayfair’s largest and main space, towering 16 meters high the room is impressive in both size as well as grandeur. Packed with architectural character the space remains flexible for any client looking to host a spectacular event. The adjacent Narthex acts as a welcoming reception prior to any occasion. The two spaces are flexible in aiding to create a wide variety of varying atmospheres. The first floor Mezzanine surrounding the Grand Hall provides the perfect platform to overlook any event. The space interlinks with the Hall by mimicking the downstairs architecture and ambiance. The balcony area is ideal for either a welcoming drinks reception or acting as an additional space to any function. Choosing your venue is an important decision; but from the moment you enter One Whitehall you experience the supreme style and architectural elegance of the venue; you will know right away you have found the perfect setting. 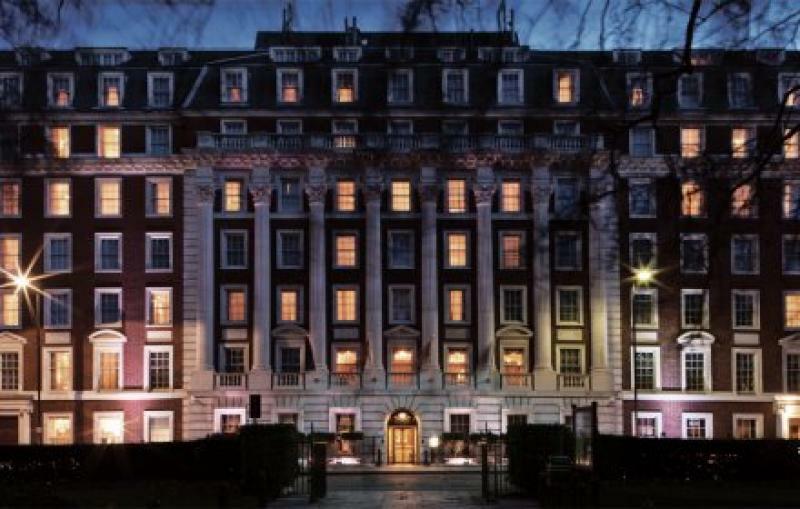 Welcome to One Whitehall Place, Be a part of our History! Situated in beautiful countryside within easy access of the M25, Orsett Hall is a stunning hotel set in 12 acres of landscaped gardens with 30 luxurious bedrooms, 3 bridal suites, a self-contained lodge, chapel, restaurant, elegant function rooms, on site hair salon, a spa and a gym. The Hotel has all the advantages and facilities of a new, purpose built hotel and friendly, polite staff to cater to your every need. Weddings are one of the most important events in our lives. From an intimate service for 20, to a formal reception for 450, you can rest assured your day will be something special here at Orsett Hall. You and your guests can enjoy the peace and tranquillity of our extensive landscaped gardens - a beautiful setting for any Wedding. Historical magnificence and unmatched splendour. 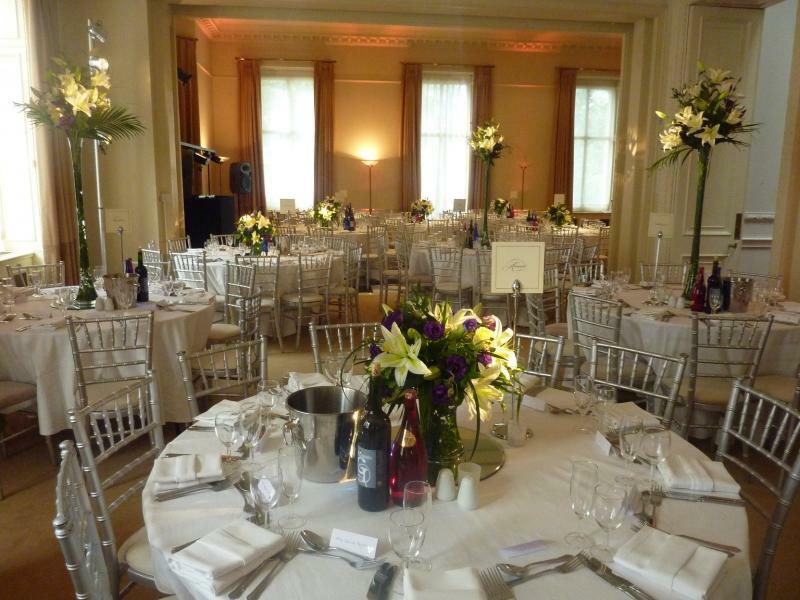 No setting for a wedding celebration can surpass the grandeur offered by the Osterley House. A breath-taking portico of unmatched classical splendour, known as the Entrance Hall and designed for supreme dramatic flair, greet guests and presents a once in a lifetime venue for your wedding ceremony. The treasured manor stands as one of the few remaining country estates in London and offers a truly one-of-a-kind venue for weddings and receptions. 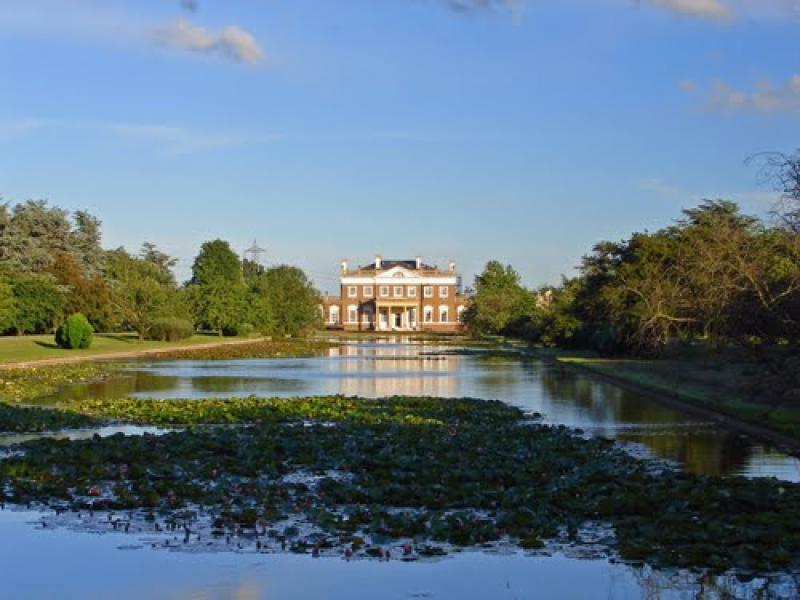 Surrounded by landscaped grounds, linked lakes, and glorious 18th Century gardens, Osterley House will transport your wedding and your guests back to a resplendent time of perfectly designed opulence. The extravagant Entrance Hall, created by renowned architect Robert Adam, can comfortably seat 100 guests, who will enjoy an ambience unavailable in any other hall. Two large alcoves complete with statue-framed fireplaces and intricate stucco work occupy either ends of this grand space. For larger wedding ceremonies and receptions, Osterley House and Park offer a beautiful marquee pavilion site that overlooks the House. Impart historical magnificence upon your wedding ceremony and be gloriously swept off your feet – at the Osterley House and Park. Located in the centre of town with its own car parking facilities, Park Inn by Radisson Northampton offers a wedding venue or event location sure to please. Excellent banqueting suites, expertly crafted menus from experienced chefs and a dedicated, professional team for every event ensure success from start to finish, largest theme to smallest detail. The Buckingham Suite will hold 600 guests for an evening reception or 360 for a wedding breakfast. The Kent, Essex and Norfolk Suites will accommodate 150 for an evening reception or 80 guests for the wedding breakfast. At Pendley Manor we offer idyllic surroundings for the most important day in your life. Outside, our immaculate lawns and landscaped gardens will show you just why this Hertfordshire wedding venue's so sought after. Inside, our traditional reception rooms and elegant banqueting suites provide the ideal setting for your wedding breakfast and other celebrations. Pendley Manor can take care of all the little details that ensure your big day runs smoothly: red carpet on your arrival, fresh floral arrangements, a sumptuous wedding breakfast, champagne, silver cake stand and knife and of course, luxury overnight accommodation for yourself and your partner. At the Pinewood wedding venue near Windsor we offer all this and more - rooms licenced for civil ceremonies, a wonderful selection of rooms for your wedding breakfast, beautifully manicured gardens for your photographs and a fabulous sun terrace for your reception. 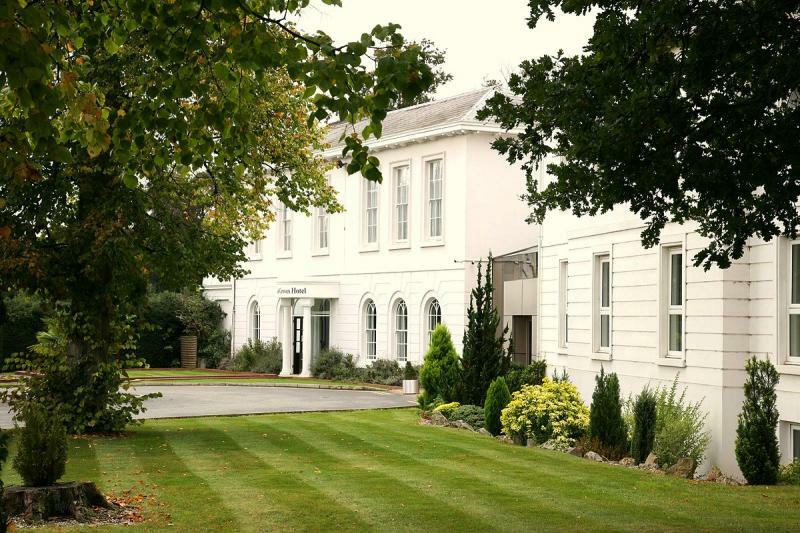 Pinewood is a fabulously located wedding venue near Windsor and one of the few wedding venues in Buckinghamshire that is just minutes from Heathrow and 3 major motorways so for your guests travelling from a distance Pinewood is extremely accessible. At The Platinum Suite, we understand that each couple's big day is important to them, and every bride is stressed about all the attention to detail. We understand how stressful organizing and delivering a successful event can be. Our experienced events team are committed to ensuring your event runs according to plan and exceeds your expectations and that of your guests. An appointed event day contact will always be on hand to answer your questions and queries and to ensure the venue looks exactly the way you want it to. We hold a variety of Asian weddings and can cater for up to 1000 guests. 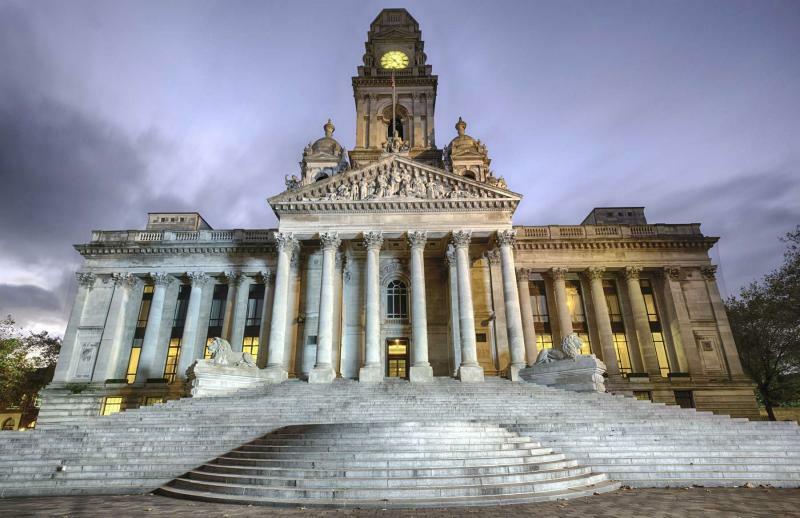 Portsmouth Guildhall is most famous today as the city’s leading entertainment venue, but the history of this iconic building also shines a light on the antiquity of the whole city. Originally completed in 1890, the Guildhall fell victim to Second World War bombs in 1941, causing extensive damage to the back and interior of the building; however the front exterior remained undamaged. 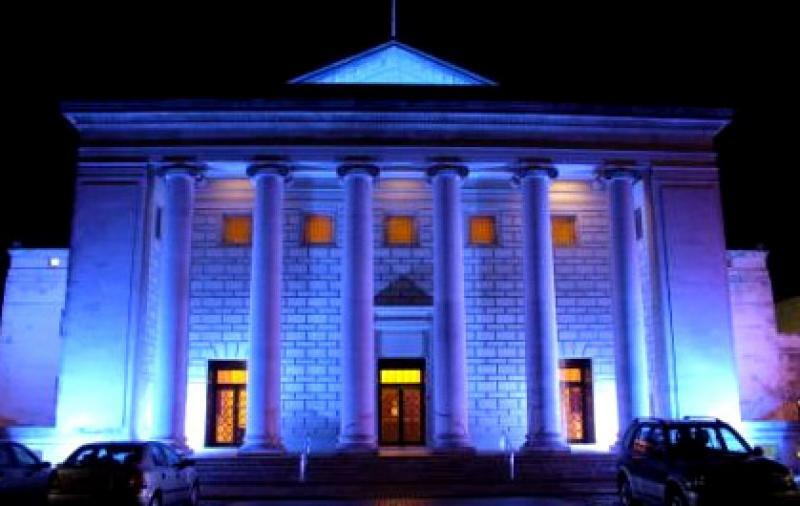 A building steeped in history; Portsmouth Guildhall proves to be a stunning backdrop for your special day. Situated beneath mature beech trees, in a secluded part of the grounds is the Reception Pavilion. Our reception marquee is the perfect setting for an evenings entertainment and is a visual treat with it’s beautiful hand printed lining. The marquee can be arranged in a number of ways to allow you to have the evening you’ve dreamed of as the day draws to an end. We can provide our own catering services for a sit down meal but you are more than welcome to bring your own caterers. Likewise we hold a license to serve alcohol at the bar, or you can provide your own drinks. It’s entirely up to you. As you would expect there is a dance floor, perfect for one of the most important moments in any wedding day, the first dance. There is plenty of space for a band or DJ to provide you with music as the celebrations continue into the night. Set in 100 acres of deer park, Parklands offers you extensive grounds with ample space for outside blessings and superb photo opportunities with stunning views -perfect for an Asian wedding venue. Exquisite décor and Elizabethan architecture within the house gives the atmosphere of a luxurious family abode rather than a stately home, with personal touches of modern art alongside antique furniture. Within the mansion there are three reception rooms that can seat 30 to 120 people. Parklands can accommodate up to 450 guests in our silk-lined pavilion attached to the rear of the mansion, making it the ideal Asian wedding venue. The Pavilion, measuring 130 x 40 ft, is beautifully decorated with silk ivory lining and chandeliers. 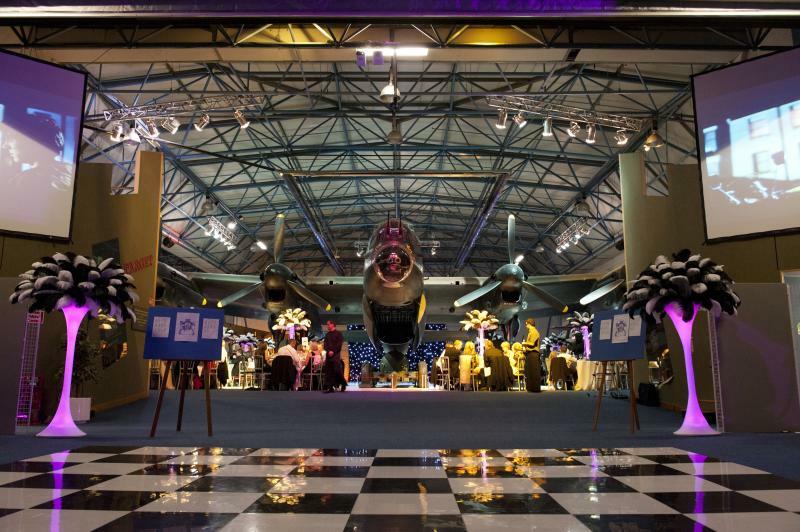 The RAF Museum rises above the rest when it comes to inspiring event spaces for parties, dinners, conferences and exhibitions. Containing a wide range of versatile areas for private, corporate and commercial occasions alike, your event will take off with great success! Whether it’s a meeting for 20 or a dinner for 400, our awe-inspiring displays of aircraft will make for a memorable, enchanting and unique experience guaranteed to Be the Best. Imagine your drinks reception beneath iconic aircraft such as the Spitfire and Hurricane in our Battle of Britain Hall or dinner underneath the wings of the magnificent Avro Lancaster in our Historic Hangars. If you want a more contemporary space the Milestones of Flight hangar is perfect if you are looking to impress. With free parking for all corporate and private events and easily accessible by road, rail and tube, making it the perfect venue for any event. All rates include AV support and event management and our dedicated and experienced events team endeavour to make the planning and implementation of your event as painless as possible. Renaissance London Heathrow Hotel welcomes you with spacious accommodation, modern amenities and an exceptional location within easy reach of Central London. Recently refurbished 710 rooms and suites offer deluxe bedding, free Wi-Fi access, 24-hour room service and stunning views of the airport runway from soundproof windows. Additional perks throughout the hotel include a modern fitness centre. We proudly offer several superb dining options - from global dining at Market Garden Restaurant to Starbucks® coffee at Cafe Cha. Those hosting an event near Heathrow will be thrilled with our well-appointed 16 Meetings rooms , including the pillar-free Westminster Suite - as well as comprehensive planning and catering services, an on-site business centre and abundant on-site parking. Whatever brings you to the area, we know you'll enjoy your stay at Renaissance London Heathrow Hotel. 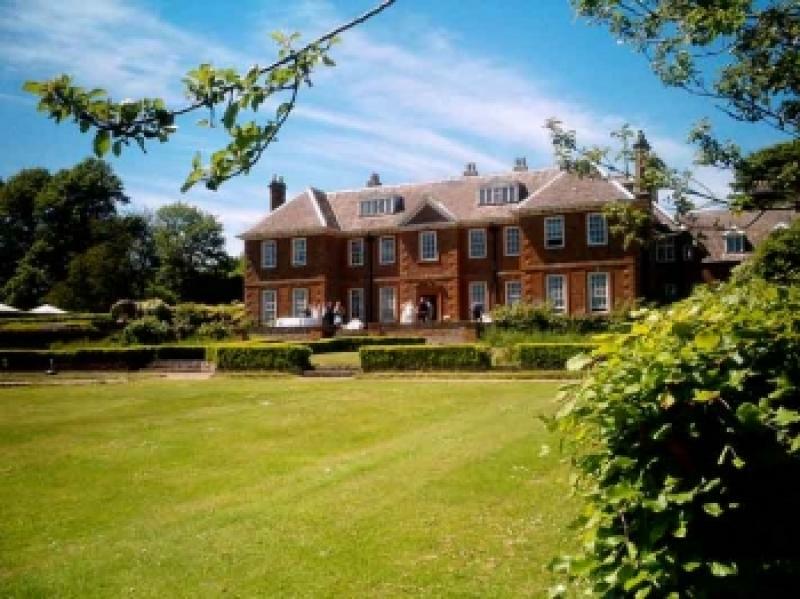 Newly listed outdoor marquee venue, make the most of our 6 acres of private land overlooking the beautiful River Medway, Riverview Manor is the most versatile outdoor venue in Kent for any occasion. Free and secured car parking as standard, we cut no corners in ensuring everything runs smoothly so you can have a stress free day. We give as much freedom to customers as possible, giving them full control on however they wish to plan their special occasion. receptions and stylish weddings. Whether you are hosting an intimate private dinner, sumptuous banquet for 350 or drinks reception for 600, you will find the expansive, uncluttered space flexible and versatile. Dressed and lit for maximum impact, the atmospheric surroundings of Lindley Hall will make a lasting impression on your guests. The space, light and elegance inherent in the hall’s classic Edwardian design are complimented by an advanced audio visual system and every event is expertly supported by our specialist event management team. Saint Hill Manor has had a succession of distinguished owners, each family leaving behind a part of its own unique history, with a fascinating blend of Eastern and Western cultures. For the ultimate in luxury, Savill Court is unequalled. A multi-million pound renovation throughout this elegant venue created exquisite entertainment spaces that will complete any brides dream wedding. Savill Court boasts three superb hosting areas; The Great Hall – luxurious seating for 300 guests, The Orangery – a magnificent dining area accommodating 200 guests and finally The Orchid – a tranquil dining area, perfect for a Wedding Breakfast for up to 100 guests. An ingenious floor plan allows the Great Hall to blend its magnificent space with that of either The Orangery or The Orchid Dining rooms, allowing combined seating of up to 500 guests. Set in the midst of 22 acres of beautiful parkland, you may choose to enjoy the charm of an outdoor drinks reception, with the regal presence of Savill Court as a striking backdrop. First impressions matter, and visitors entering the foyer of the Senate House – which leads directly into the Crush hall, the awe-inspiring space at the heart of the building – are always delighted to receive a warm welcome in such opulent surroundings. The Crush Hall was designed to impress. Completed in 1938, its elegant, marbled grandeur and gold leaf point to its origins as a ceremonial space, though today it is more often used as a stylish hub for conferences and events. Perfectly placed between the Beveridge Hall and Macmillan Hall. Located on the ground floor of Senate House and seating just over 450 in three tiers around a sunken central floor, Beveridge Hall is a highly versatile space boasting not only a stage and excellent natural acoustics, but also state-of-art audiovisual equipment. Crucially, it is also imbued with a great sense of history. The Macmillan Hall is one of the largest flat-floor, dedicated conference spaces in London. Built in 1936, it was one of the University of London’s main meeting rooms and has since been in continual use for conferences, meetings and as a dining room. 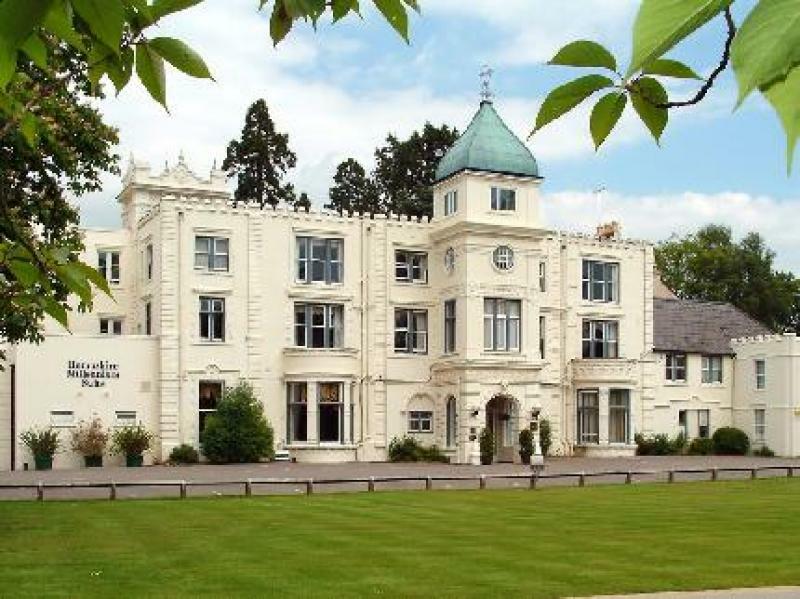 Shendish Manor Hotel & Golf Course where Victorian splendour meets modern design. Set in 160 acres of parkland and formal gardens, the excellent road and rail links close by ensures that this West Hertfordshire venue is the perfect choice. As one of the most sought after wedding venues in the area, the striking architecture and exquisitely scenic grounds of the estate provide the ideal stage for your special day. As well as a choice of stunning banqueting suites, the charming Gazebo set within the grounds islicensed for civil ceremonies. Become part of the legacy within the 900 square meters of event space. Discover three floors of available spaces including the iconic Silver Gallery, Grade Two Listed Ballroom and surrounding balcony area. Welcome up to 650 guests for dinner and dancing, or 1,200 for a cocktail reception.Private entrance off Piccadilly Maple sprung dance floor. Built in stage, Garage parking, Private cloak room. Surrounded by the idyllic, peaceful Worcestershire countryside, Sixways Stadium is a unique and modern wedding venue offering that something special to make your day one to remember. Whether it is a traditional wedding, a civil ceremony or partnership, we have something to meet all your needs for that big day. With our experience, we can coordinate your every requirement to make your dream day come true. 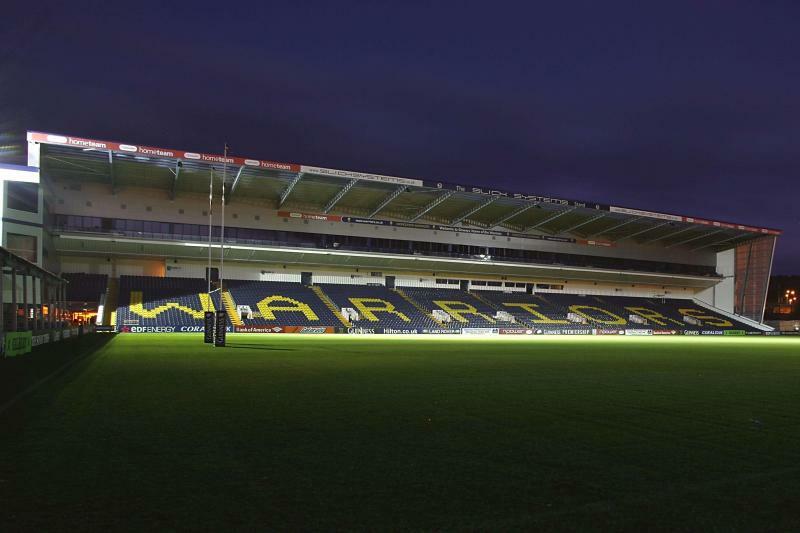 With four pitch-view suites that can accommodate up to 500 guests, Sixways Stadium is perfect for wedding parties of all sizes and cultures. Our suites are available for civil ceremonies, wedding breakfasts and evening receptions, so we have facilities to meet all requirements and budgets. Your country home from home nestled in 12 acres of Hertfordshire countryside in St Albans; Sopwell House is a 4 star Georgian country house hotel that believes in impeccable, genuine service with attention to every detail. 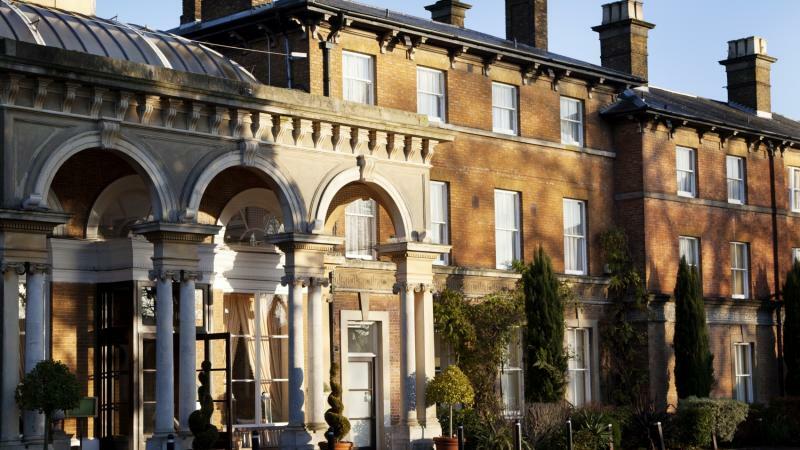 Enabling guests to escape from it all, but still within easy reach of London, St Pancras and Luton Airport, Sopwell House is a family-owned luxury hotel that takes rest, relaxation and warm hospitality seriously. 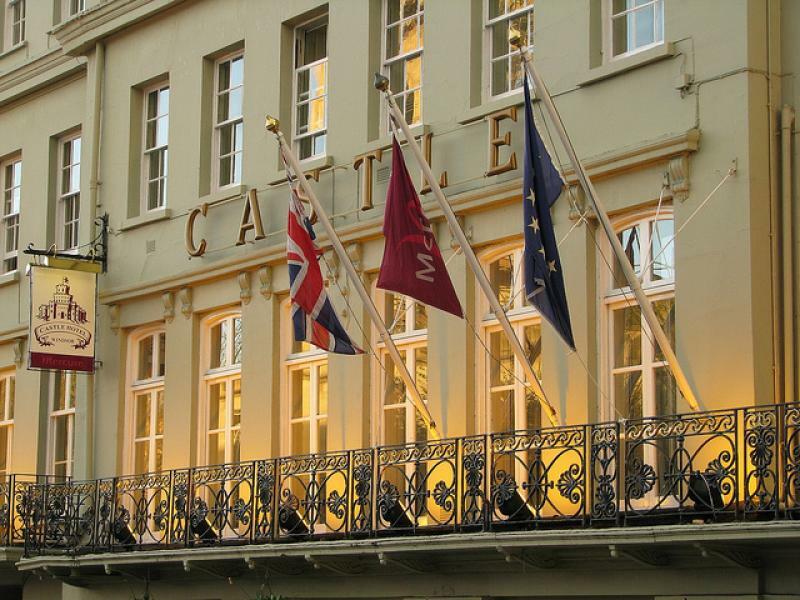 The hotel has over 300 years of history and boasts 128 rooms and suites including 16 individually designed stylish Mews Suites positioned behind private gates. There is also a 2 AA rosette Restaurant, Brasserie, Conservatory Bar, Cocktail Lounge, 14 event rooms including conference, spa and gym. An extensive, three stories of spa development are currently underway, due to open early 2019, bringing state of the art facilities and services for its guests. Sopwell House is proud to be a member of Preferred Hotels & Resorts, a global collection of the world’s finest luxury hotels and also Pride of Britain Hotels which is Britain’s leading luxury & boutique hotel collection. Guildhall Square in the heart of Southampton's new Cultural Quarter, is a versatile and contemporary space that is the perfect setting for performance art shows, seasonal events, community activities and a unique showcase space for promotional exhibits. The newly refurbished Square was completed in October 2010 and has created a unique public space for the city that will be alive with arts, heritage, entertainment, events, music, colour and dramatic architecture. Every bride and groom wants a perfect day to remember and here at Stoke Place we are committed to ensuring that you get the day you always dreamed of. 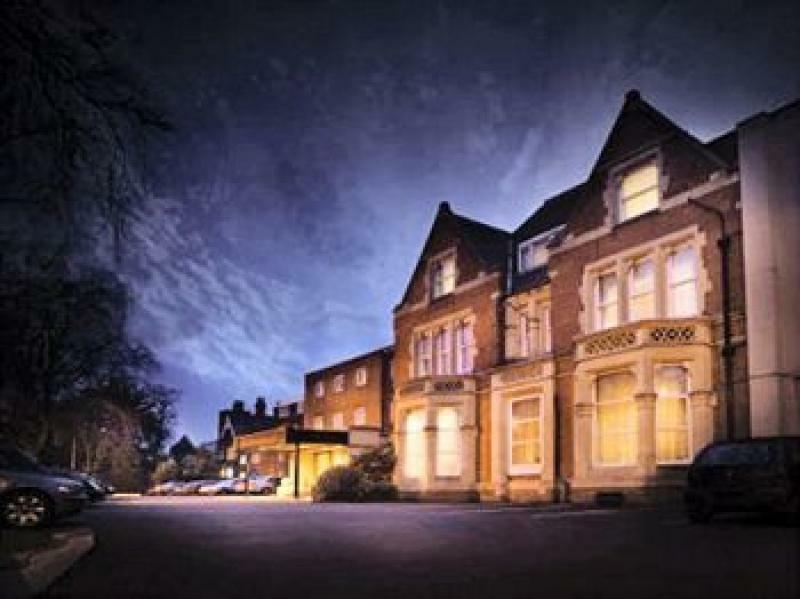 The boutique hotel is the ideal wedding venue in Buckinghamshire for parties from 60 to 200. We are experienced in hosting weddings and civil ceremonies that vary from small and intimate receptions to lavish wedding breakfasts, and everything in-between. 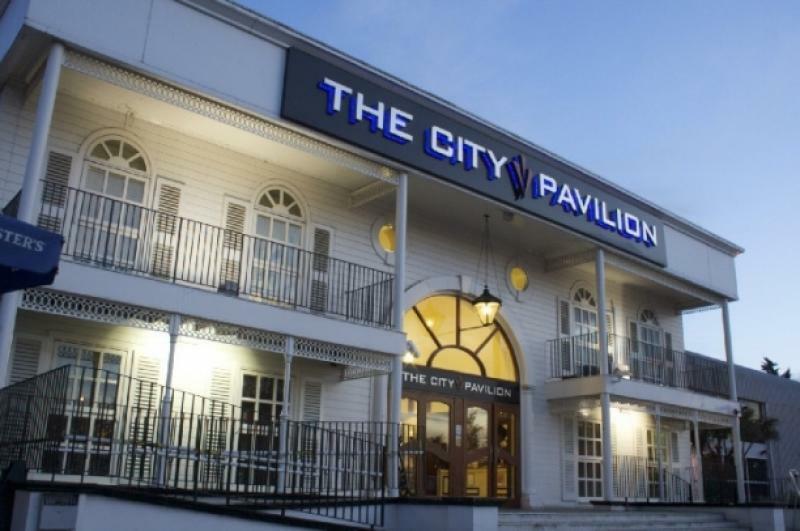 The Millennium Suite is situated within the City Pavilion Complex in Collier Row. Undoubtedly the jewel in the crown of the centre is the grand Millennium Suite, adorned with striking Swarovski crystal chandeliers, the Millennium Suite can hold upto 1200 for a sit down dinner or as many as 2000 for a stand up reception. 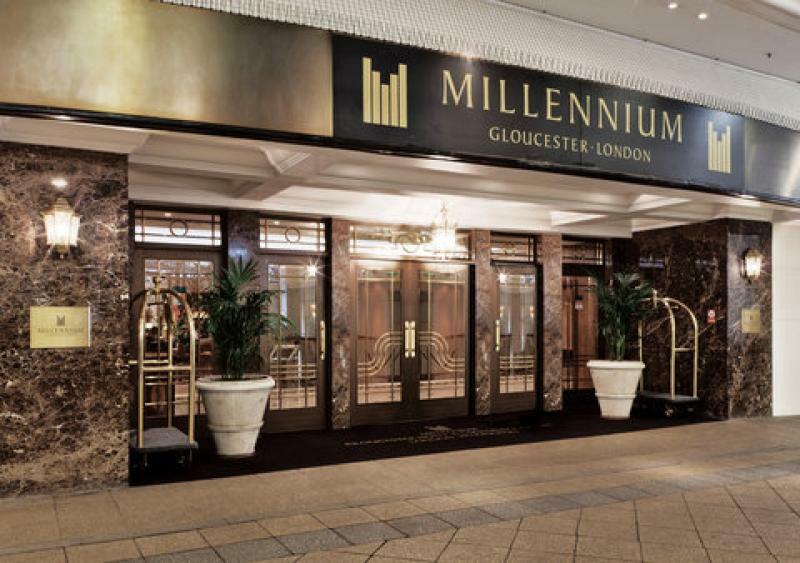 The Millennium Suite consists of a number of rooms including the Civil Ceremony room and the main bar area as well as a number of smaller breakout and dressing rooms some of which include ensuite facilities. The Manhattan Suite at The City Pavilion is a flexible and self contained function suite that can accommodate up to 400 people standing and up to 270 in a banqueting style. The function room can be divided into 2 sections for smaller meetings or for use as a meeting room one side and for refreshments on the other. The suite is served by its own kitchen and also has its own bar. It is ideal for a conferences, small meetings, weddings, shows and parties. Elegance, versatility and flair. We provide the venue, you provide the magic. This superbly appointed and exceptionally unique fully air-conditioned venue offers sumptuous comfort in elegant surroundings, with excellent features and versatile facilities, combined with the character and splendour of the past. A stone throw from the scenic Alexandra Park, The Decorium unravels an epitome of elegance beneath a striking facade. The Decorium is one of London’s foremost event and entertainment venues, combining a unique history with a contemporary twist and at great value for money. We understand fully how important and special your event is to you – we know that the venue will provide you with a bespoke and memorable experience. We supply you with spectacular spaces in which you can create your perfect event. The building’s superb external and internal architectural detailing is a perfect backdrop for your event, providing a rich and interesting atmosphere. One step inside the venue will tell you that you have found an exceptional location – an impressive space full of character, flexible enough to be adapted to your individual needs. The Forum is a spectacular, 5-star luxurious banqueting suite, with a £2 million investment. It has been purpose-built with you in mind to provide an amazing backdrop for your special day. 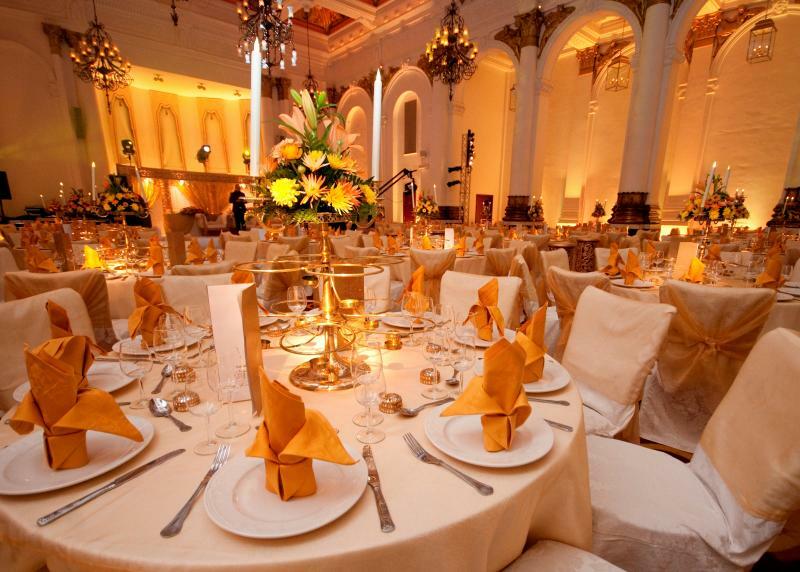 This exclusive and prestigious venue can cater for up to 625 guests. The Forum is fully sound-proofed and air conditioned with the latest built in LED lighting, plasma screens, stylish décor, new bar and reception area, portable dance floor and a private canopied entrance. 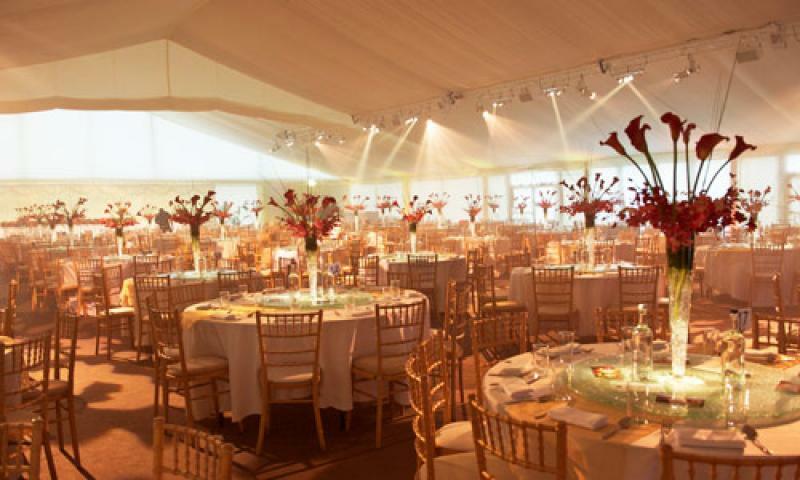 The Garden Room is an inspirational marquee set within the stunning grounds of Syon Park. This purpose-built venue is designed with flexibility in mind, making it suitable for any event from a wedding reception or corporate dinner to a conference or family fun day. Our summer venue is available from May to September and seats up to 600 guests for a dinner dance. It not only benefits from its own private garden with stunning views of Syon House but also offers a separate reception and dining room, as well as a high level of lighting and production. Syon House and its 200-acre park is the London home of the Duke of Northumberland, whose family have lived here for over 400 years. Originally the site of a medieval abbey the house is now available for hire for smaller events of up to 120 guests, for a wedding service or a drinks reception prior to heading to The Garden Room for dinner. 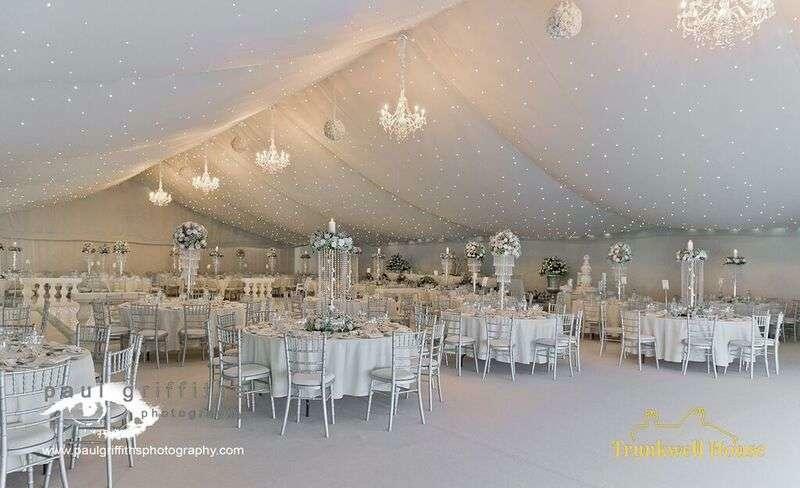 Whether you are having a traditional or a contemporary wedding the neutral design of the marquee allows you to add your own touches of colour and design to create a unique style. The Amber Suite is the jewel in The Hive’s London’s crown, providing a breath-taking venue for all kinds of events from formal gatherings to carefree celebrations. The spacious setting – with room for up to 500 people – allows you the flexibility to tailor your perfect event with complete freedom when it comes to choosing seating arrangements and menu choices. Our professional event management team can also help cater to your every need to ensure that every little detail is taken care of. From weddings and parties to conferences and meetings and everything in between; there is no kind of event that will not dovetail beautifully with our luxurious Amber Suite. 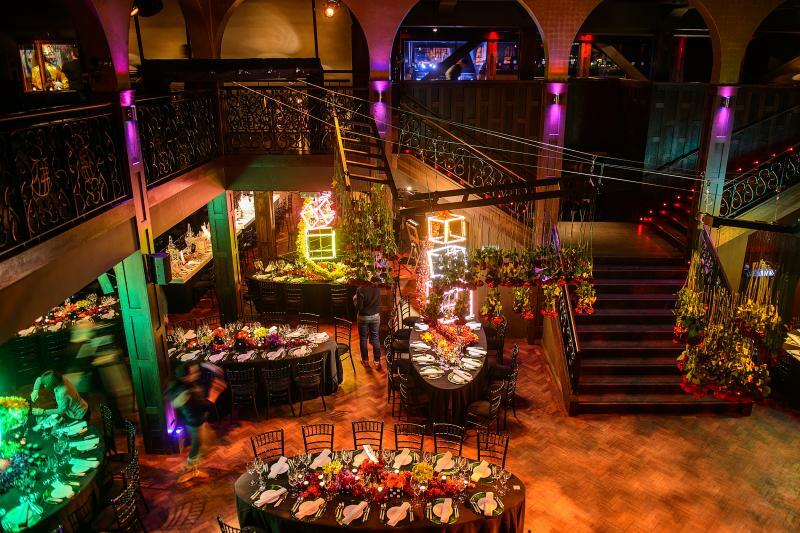 With stunning décor and an intimate ambience, this really is the ideal location for an event you won’t forget. 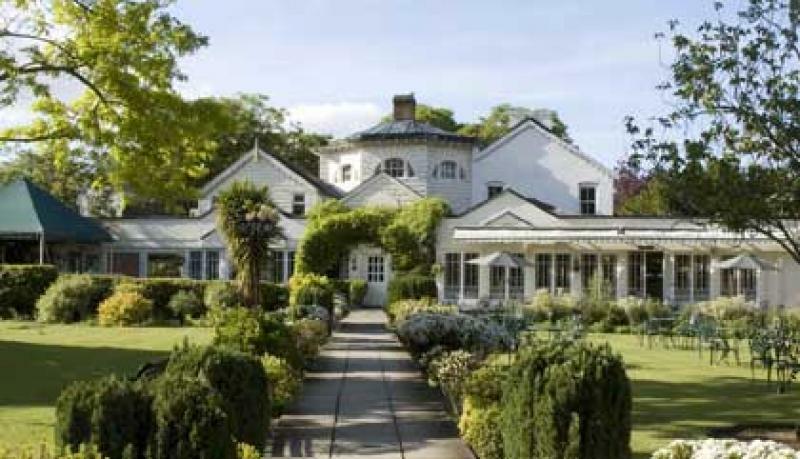 Botleigh Grange is truly one of the most romantic wedding venues in Hampshire. 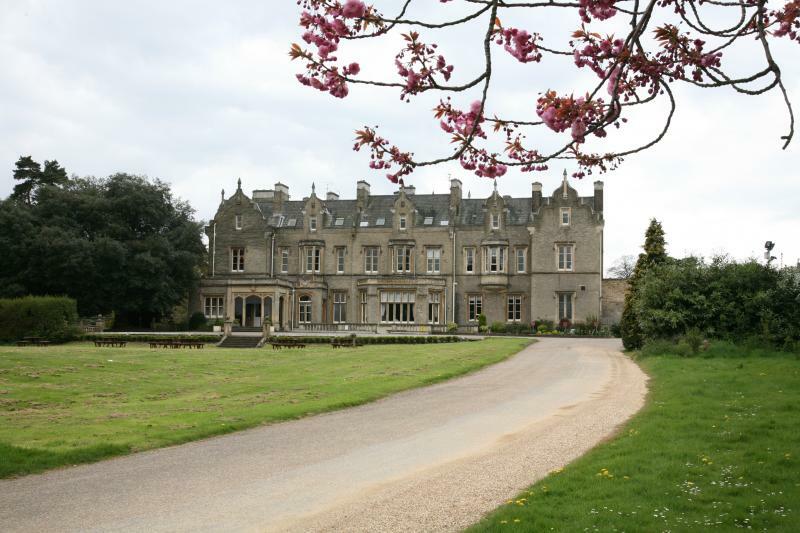 Set amongst 14 acres of stunning gardens and grounds, it is the perfect setting for a wedding. 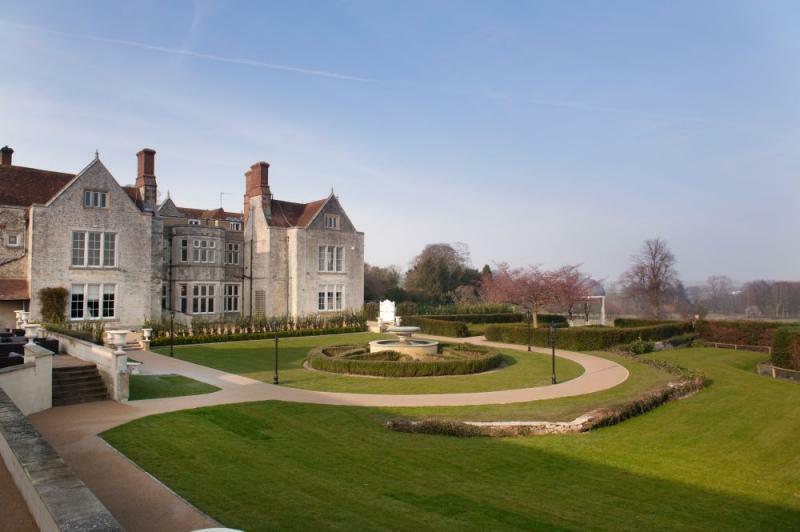 If you are looking for a beautiful Hampshire wedding venue, then look no further! Whether you are looking for a small intimate gathering or a large party with family and friends we offer the perfect location. enjoy our panoramic views and surrounding parkland further by celebrating your big day on our superbly manicured lawns in your very own private marquee, whilst taking in our breathtaking views of our picturesque lake. 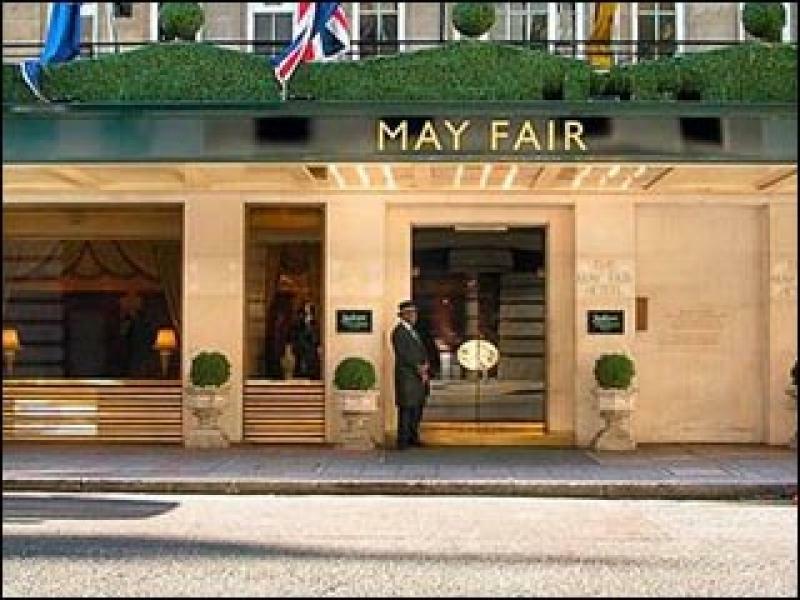 Whether as a luxury wedding venue or reception space, the flexibility, stylish modern décor and discreet attentive service of The MayFair Hotel provide a sumptuous setting for your big day. We have a marriage license, so you can hold your ceremony and reception in the same place if you wish. With glittering crystal chandeliers, mascassar ebony wood detail, the finest AV supported by state of the art technology, Grand Ballroom at The Montcalm is one of the capital’s finest, premier events spaces. 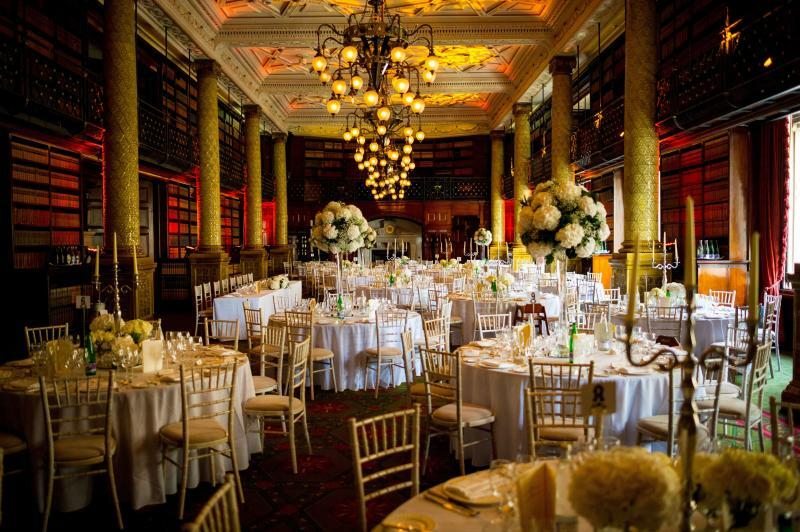 Holding up to 650 people for stand up reception styled events and 350 for sit down dinners, Grand Ballroom at The Montcalm is situated at the top of Park Lane, by The Marble Arch, in the heart of London’s West End. 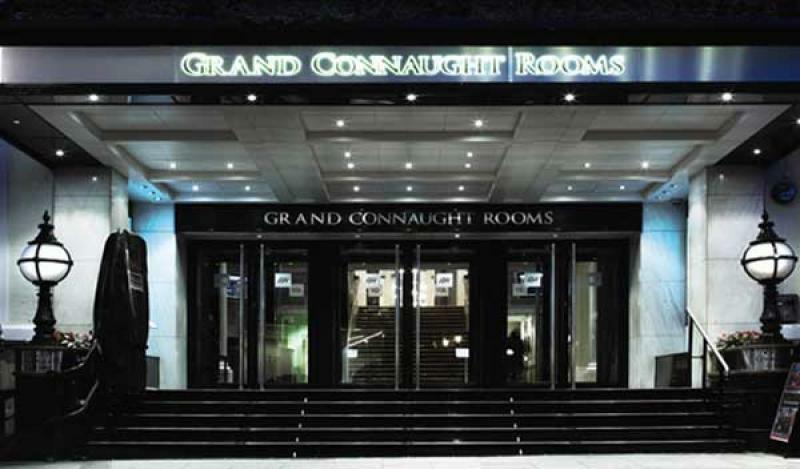 The Grand Ballroom has a dedicated street entrance as well as entry via the main lobby of the hotel. Serviced by two grand marble reception areas and blanketed with fresh flowers, this stunning large open, pillar free space benefits from a grand marble staircase escorting guests into the opulent reception and foyer. 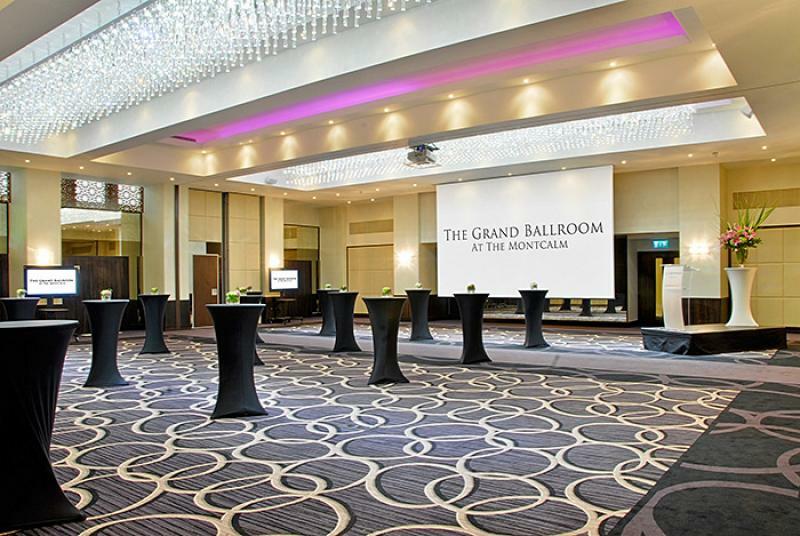 Grand Ballroom at The Montcalm is the perfect space for both public and private events, ensuring every experience begins with a Grand Occasion. 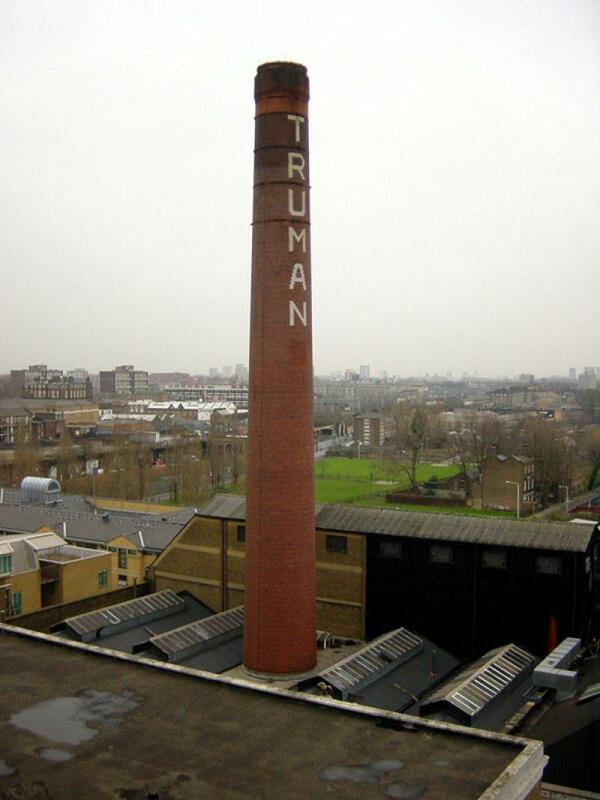 The Boiler House is a stunning, industrial brick warehouse venue, extremely bright with extremely high ceilings, large windows, skylights and many original features including the famous 49m high Truman Chimney. The historic chimneystack comes down into the centre of the 7,750sqft room. The space benefits from its original quarry tiled floor and a large rear courtyard area. 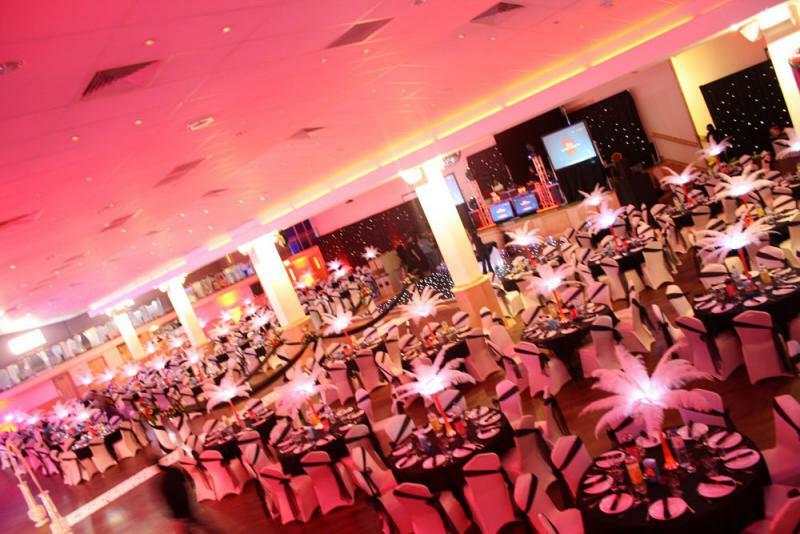 The venue is ideal for hosting parties, gala dinners, exhibitions and smaller trade shows. 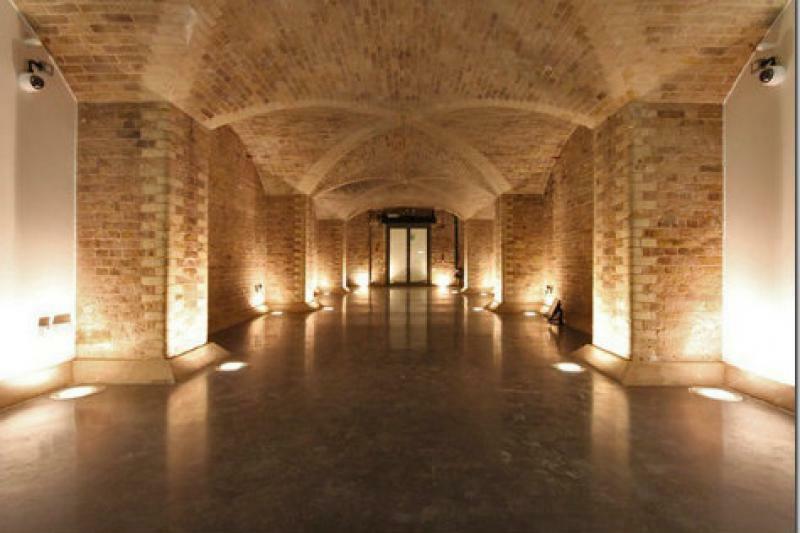 The Boiler House is one of the most original venues in London. Located near the picturesque market town of Thame, The Oxford Belfry is set in 17 acres of beautiful Oxfordshire countryside. With a landscaped courtyard and stone gazebo, it provides the perfect backdrop for your precious memories to be captured forever. The hotel is a beautiful blend of classical and contemporary styles. Whether you are looking to organise a lavish white wedding or something a little more intimate, we have a variety of rooms to choose from. The Park, located in Stoke Poges, Buckinghamshire, is now available to clients following an extensive refurbishment programme. Our Grand Ballroom, with high ceilings and stunning chandeliers, is offered to our clients exclusively for the day of their event. With ample car parking, a personal level of service guaranteed, the Park is your venue of choice. Royal Windsor Racecourse is situated in 165 acres of beautiful Berkshire countryside, on the banks of the River Thames and overlooked by Windsor Castle. The Racecourse offers a delightful blend of traditional and modern suites which can hold up for 400 guests. Our enviable facilities include two banqueting suites with panoramic views over the racecourse and 2 fabulous marquees which overlook our Parade ring. Royal Windsor is well placed to provide your event with those extra touches of elegance and expertise only a premier venue can provide. 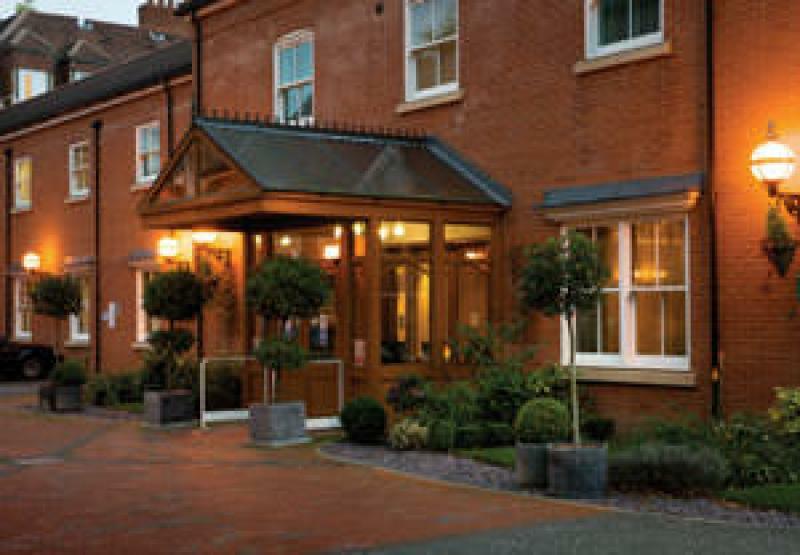 An excellent location only 10 minutes from the centre of Birmingham, the stylish and contemporary St Johns Hotel offers modern four-star accommodation and prime conference facilities. With 13 dedicated meeting, conference and function rooms, including the newly refurbished Park Suite, accommodating up to 700 people, The St Johns Hotel is ideal for business or pleasure. Excellent leisure facilities with indoor swimming pool, and elegant bar and restaurant areas provide the perfect backdrop to help guests relax and unwind, while the hotel’s relaxing bedrooms and suites combine comfort and convenience, offering air-cooling, luxurious bathrooms and internet access as standard. 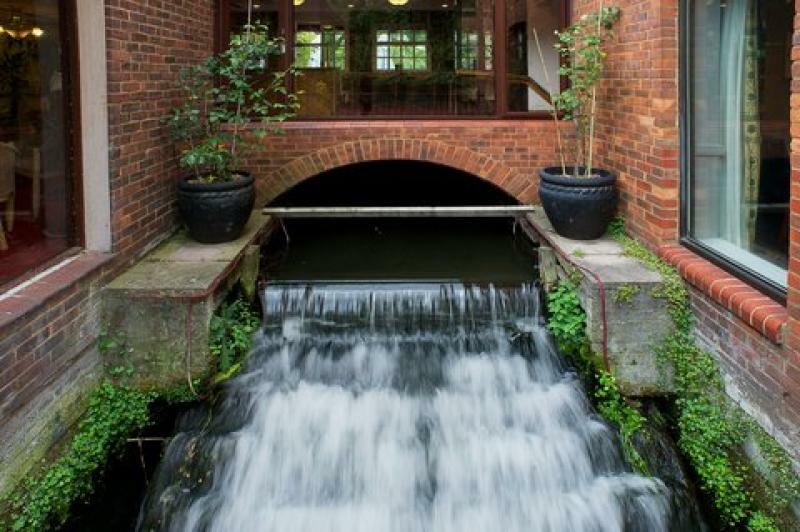 The Watermill is situated in the beautiful Hertfordshire countryside, surrounded by the banks of the River Bulbourne, and built around an old flour mill. Our hotel provides an enchanting and unique location for your special day. From outdoor marquee ceremonies on the garden terrace and sprawling lawns to receptions in our wedding suites - unparalleled ambience, seamless service and outstanding food will create wonderful memories that will last a lifetime. For almost 150 years, the Charing Cross Hotel has stood as a monument to the confidence and vision of the Victorian railway pioneers. Its grand scale and magnificent architecture hark back to a more genteel age - a unique point of view it faithfully retains as part of the Gouman collection. And with superb facilities and impeccable service, it sets new standards of excellence for our own century too. You have to hand it to Edward Middleton Barry. Most architects, if they’d designed the Royal Opera House at Covent Garden, would be consider their career complete. For Barry, however, it was merely the overture to his masterpiece, the Charing Cross Hotel. And here in the Betjeman, we see him at the height of his powers. The marble pillars, the dancefloor, the elegant sculptured ceilings and glittering chandeliers are exactly as they would have been in their Victorian heyday. They really don’t build them like this any more. Gala dinner, charity ball, product launch or corporate reception – whatever the occasion, the grandeur of the Betjeman Suite can comfortably accommodate your event, and your guests. And we do mean comfortably, with air-conditioning, and a separate break-out area for buffets and refreshments giving maximum space to mingle. The Three Rivers Club is beautifully set in over 300 acres of stunning English countryside and championship golf courses, on the outer fringes of the rustic village of Cold Norton in East Essex. 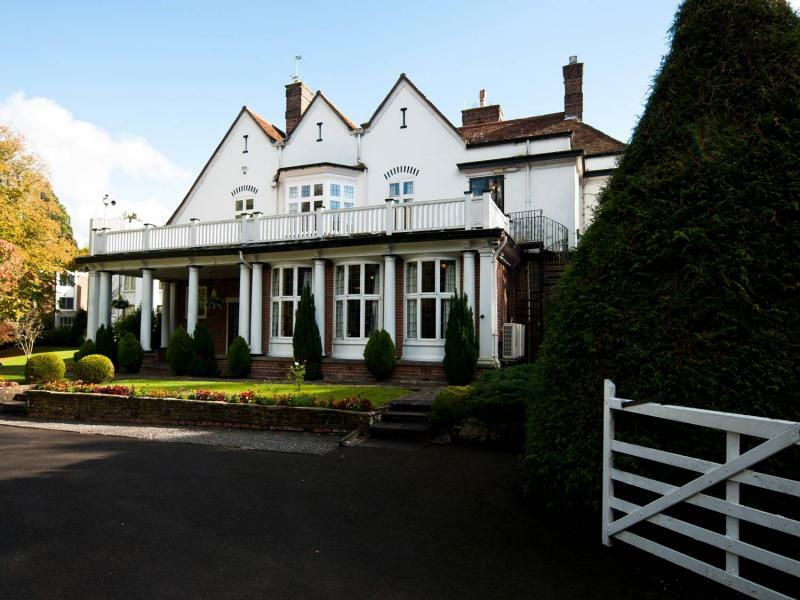 The main building underwent a complete modernisation in 1995 to produce a new and exciting wedding venue, tailor made for modern wedding facilitation. The dynamic, contemporary design of the main building is built with superb use of space and light, allowing for spectacular views overlooking our immaculate championship golf courses and surrounding beautiful Essex countryside. The Three Rivers Club has salubrious, well appointed interior décor that reflect our beautiful setting and our exquisite wedding function suites are stylish, well proportioned and abound with plentiful views of the stunning countryside from every perspective. 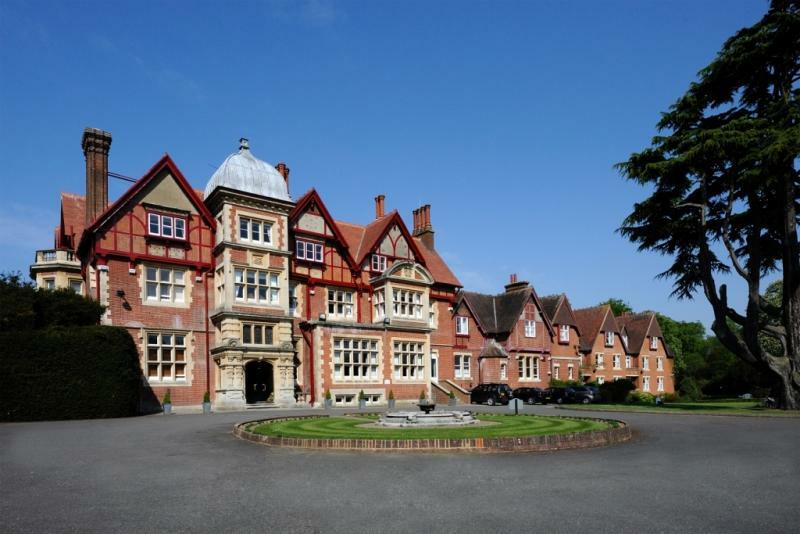 Trunkwell House Hotel is located in the beautiful Berkshire countryside. With 16 acres of grounds we have ample space for you and your guests. 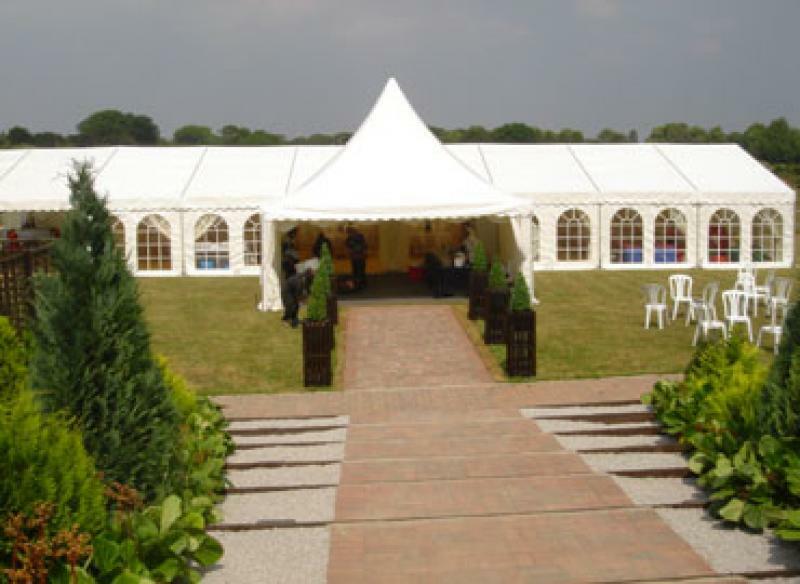 Our permanent marquees can hold up to 600 guests and we are licensed for civil ceremonies. 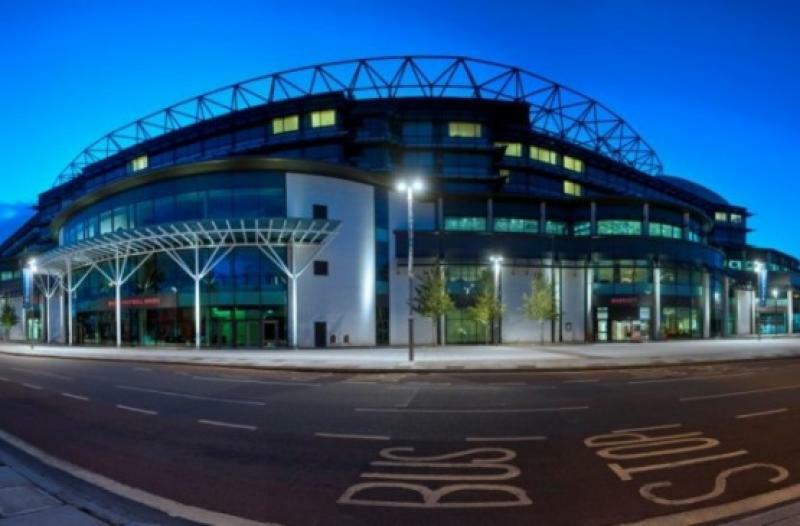 If you're looking for a wedding reception venue in London, offering a sense of occasion and intimacy, they don't come any more special than Twickenham Stadium. With a varied selection of suites, Twickenham is suited to both smaller intimate wedding receptions and larger receptions for up to 850 guests. The England Changing Rooms and pitch side are available to hire for drinks and photographs, an experience that is guaranteed to leave lasting memories. The stadium also benefits from an onsite Marriott Hotel with six pitch-facing suites and 2000 complimentary car parking spaces. 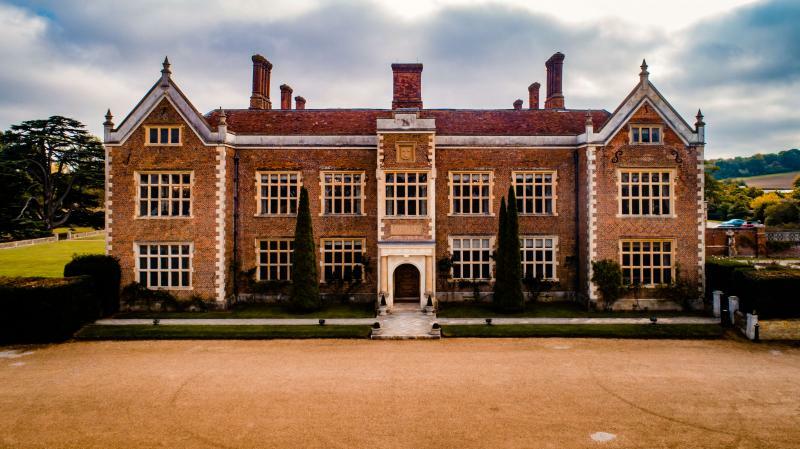 Set in 16 acres of picturesque and secluded grounds, it is hard to believe Ufton Court is just off the M4 junction 12 on the Berkshire/Hampshire border, making it a perfect location for travelling guests from east and west via road or rail. Our stunning Grade 1 listed Tudor manor house and 16th Century timber-framed Tithe Barn provide the perfect setting for your wedding, seating 150 guests and up to 200 standing. We are licensed to hold civil ceremonies within three separate locations. In the manor House, the Long Ceremony Room provides a more traditional and stately ceremony for 50 people. Many of our ceremonies take place in our Tithe Barn; seating 150 people, the huge barn doors give the bride an impressive entrance. For a more intimate atmosphere, the newly renovated Archer’s hall, with space for 70 guests, creates a romantic setting for ceremonies. We provide a wedding venue for every season; our beautiful grounds produce dramatic photographs, whether in our sunken walled garden, on the swing in our arboretum, or in our orchard. Through the seasons our grounds come alive with an abundance of different flowers with bluebells and daffodils lining the woodlands during spring time. 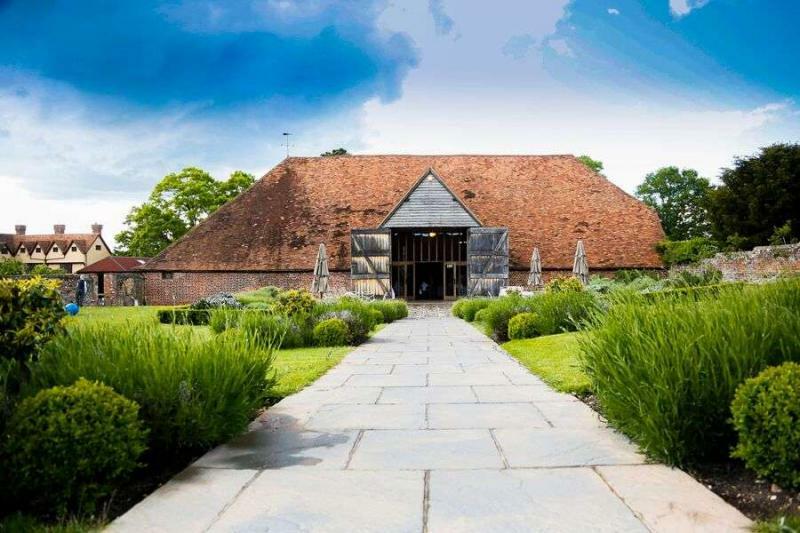 The Barn Courtyard boasts some of our nurtured fruit trees, bountiful lavender and wisteria. 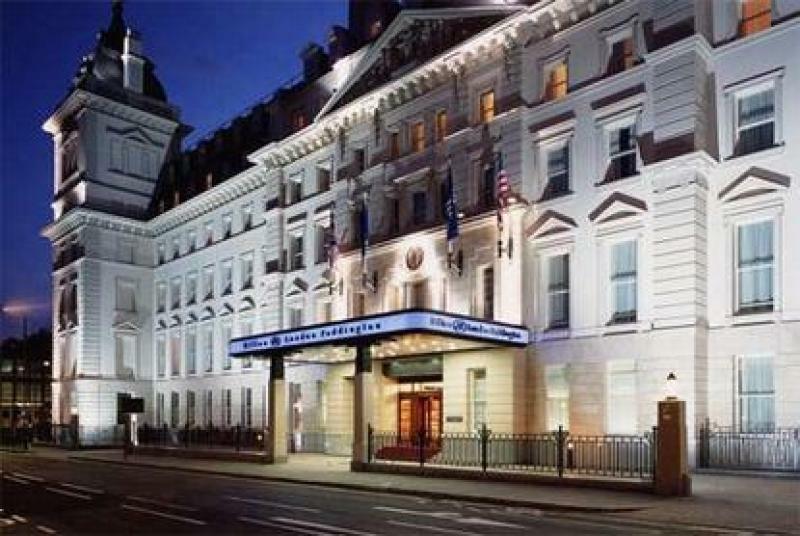 Choose the historic Waldorf Hilton London hotel for your wedding or special event, and recreate the glamour and grandeur of twenties jazz-era grand balls, with a luxurious banquet in the historic Palm Court, or the adjacent Adelphi Suite, an extraordinary venue for up to 380 guests, which features exquisitely restored architectural detailing. 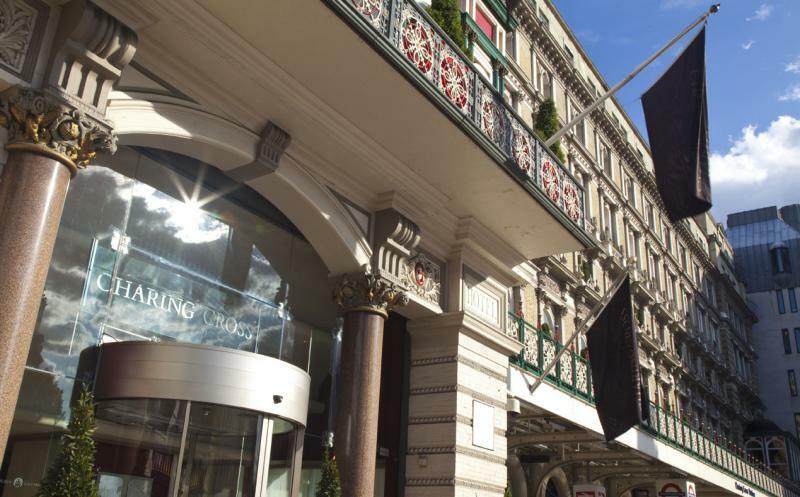 Situated on the verdant, tree-lined thoroughfare of Aldwych, The Waldorf Hilton hotel enjoys a fabulous Covent Garden location in the heart of London’s theatre district. 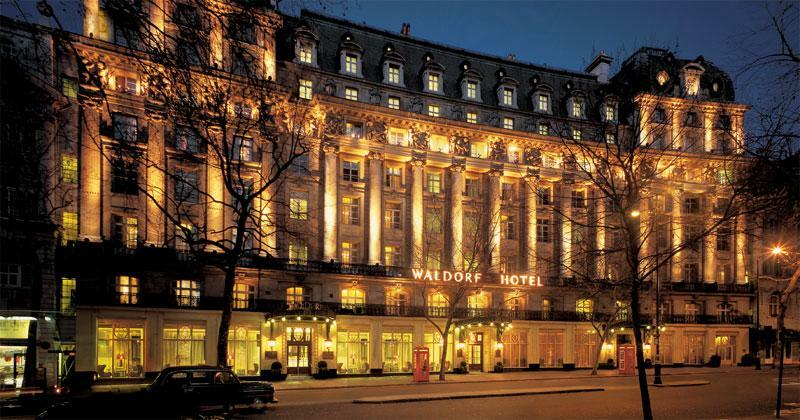 One of the capital’s most iconic hotels, The Waldorf Hilton London hotel showcases every imaginable 21st Century comfort against a backdrop of genuine historic splendour. Think of a grand French chateau in miniature, fabulous grounds with fountains,lawns, wooded walks and flower gardens, dotted with statues and ornate follies. Then visualise your wedding day against the breathtaking backdrop of this magical early 19th?century mansion and its magnificent 92 acre gardens. 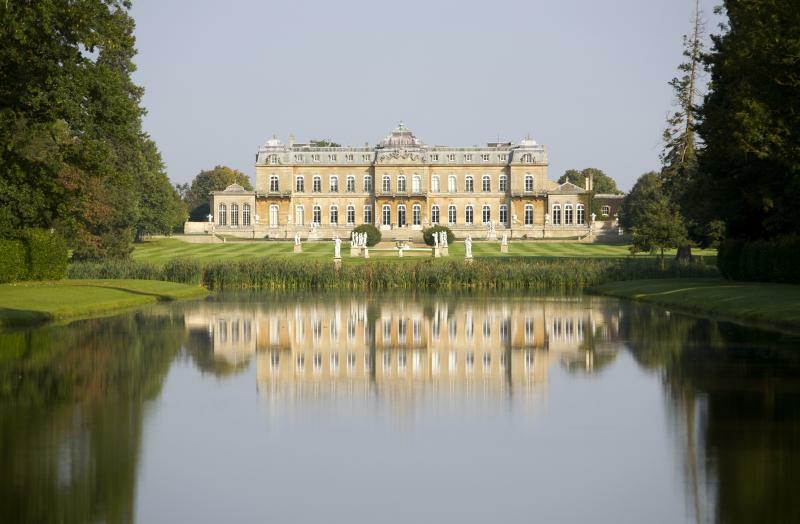 If you yearn for stunning historic surroundings mixing elegant French architecture with a grand and picturesque landscape, then Wrest Park will be your ideal wedding day location. With a choice of elegant gilded rooms inside the mansion and a wonderful light and airy Orangery for your ceremony and reception, plus magnificent gardens all exclusively yours, Wrest Park will lift your special day into a truly unique and unforgettable occasion.and unforgettable occasion. A perfect setting guarantees you and your guests a most memorable occasion whilst the picturesque surroundings provide wonderful photographic opportunities to enjoy in the years ahead. Overlooking 33 acres of countryside with tree lined views and green open paddocks with horses, and distant views of London makes the setting of your event unique. Leading down the main stairway from the car park you will find the entry to the marquee, each marquee being sized according to the number of seated guests.